I feel fortunate to be a WW leader because in addition to helping others learn, or reclaim, healthy habits — it keeps me accountable to my own weight management goals. Over the years I have learned to use the weekend to reflect on my progress and prepare for the week ahead. The majority of my weekend, during the school year, is dedicated to preparing lessons/grading and food prep. While I would love to be completely leisurely, I know that I have a much better week when all of our meals and snacks are cooked and prepped. Over five years ago when my husband Mike and I made the commitment to eat whole foods we decided that we would keep processed food to a minimum and spend our money on quality ingredients. This means that we do not rely on takeout meals. This weekend we discussed going out to dinner but decided that I would prepare our favorite restaurant meal instead and save money. While sometimes we do treat ourselves for lunch or an evening out, the savings in opting out of restaurant fare makes purchasing fresh produce feel more affordable. Therefore, I never feel guilty when my grocery cart is full of fresh food. The time that I spend in the kitchen each week is essential to our health and weight management ~ and I believe that Mike and I are worth the hours that I labor over wholesome meals. 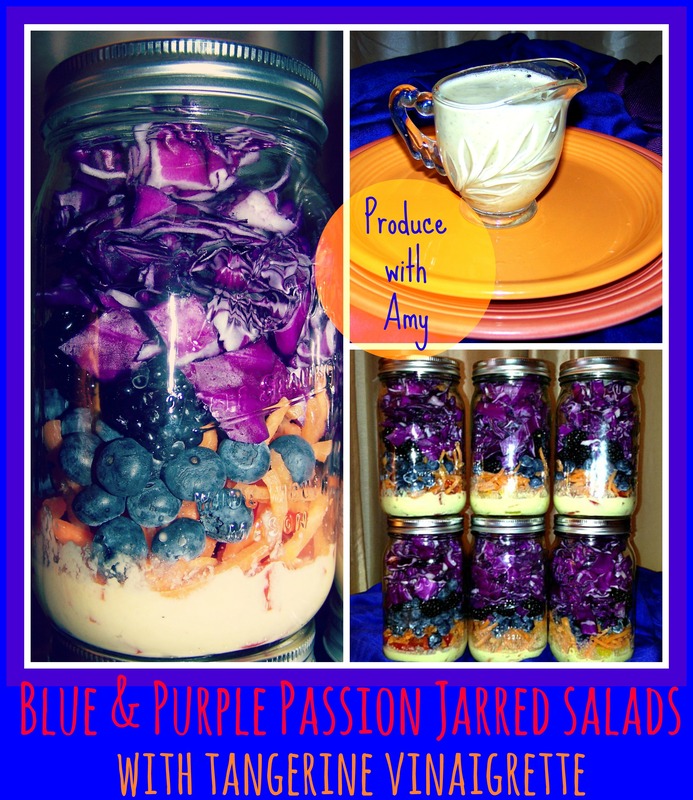 When I came up with the name for the jarred salad that I am sharing in this post, I was thinking about my passion for fresh and vibrantly colored vegetables. 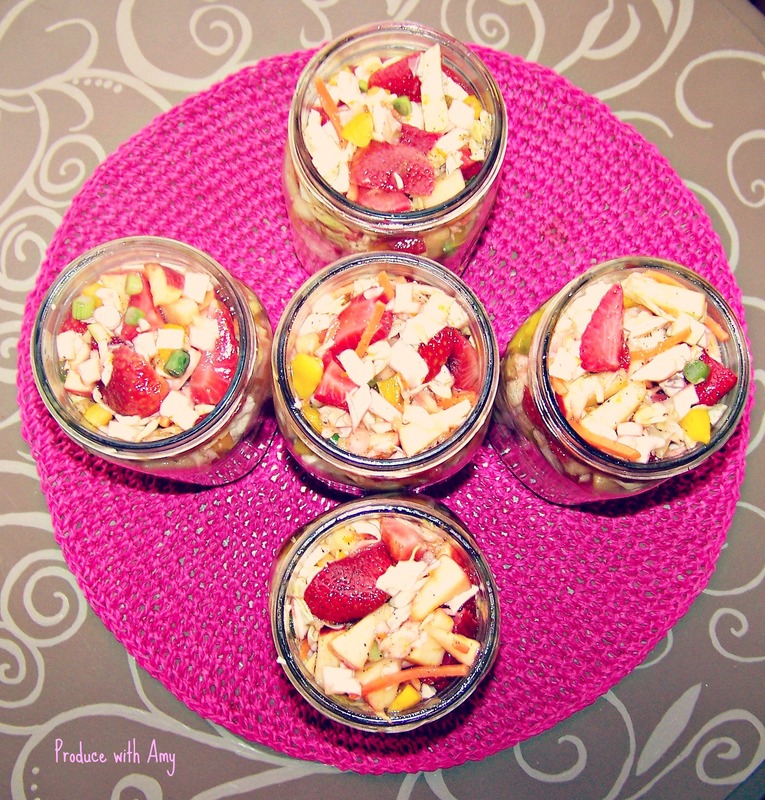 Food for me goes beyond taste ~ presentation, along with the nutritional value of ingredients, is important when I select meals and come up with recipes. 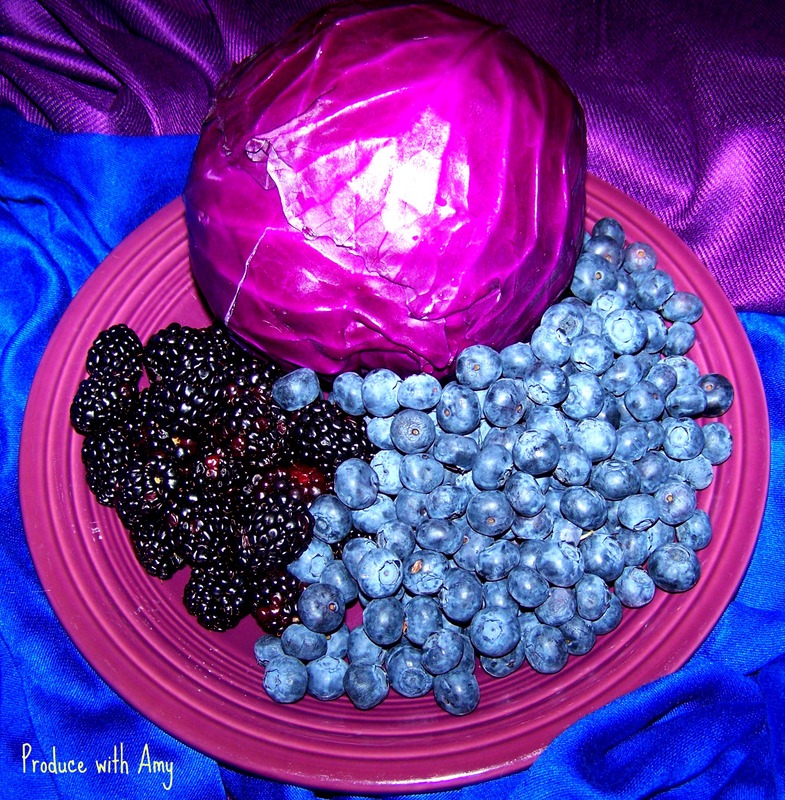 Did you know that blue and purple fruit, berries, and vegetables are high in anthocyanin? These compounds are believed to lower blood pressure and lower cholesterol. 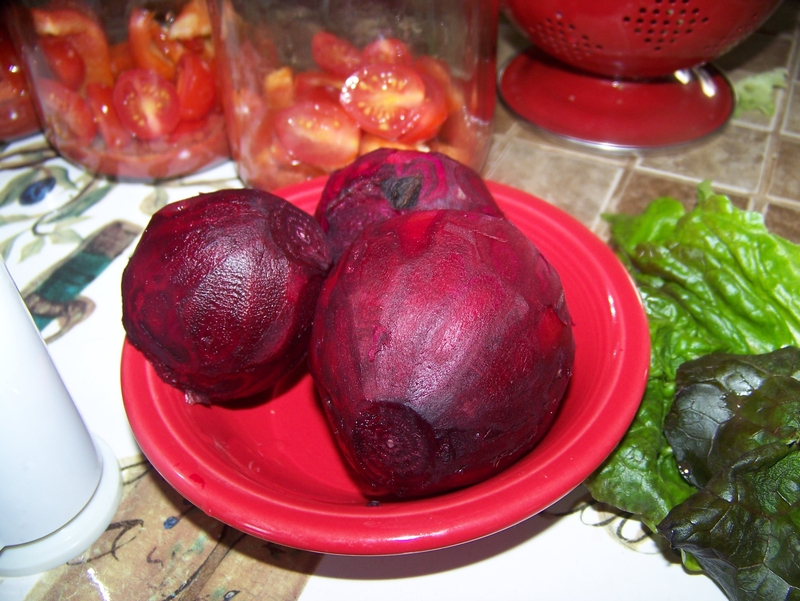 Anthocyanin is a powerful antioxidant that is also believed to promote brain health, memory, and have cancer fighting properties. 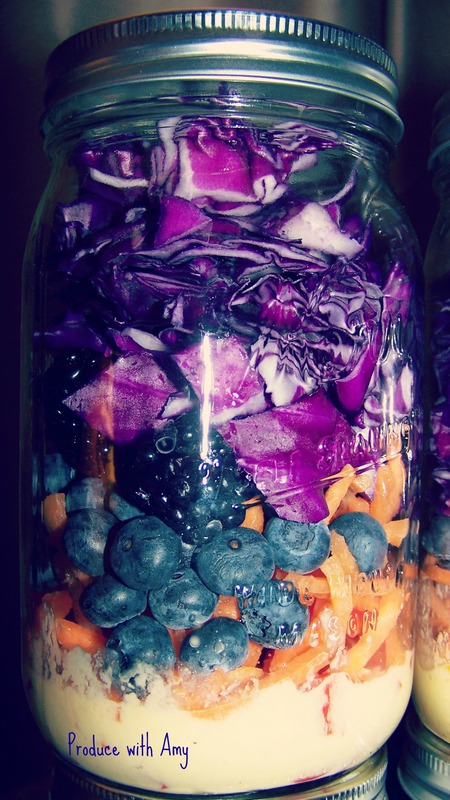 So not only are blue and purple produce beautiful, but they help us thrive. 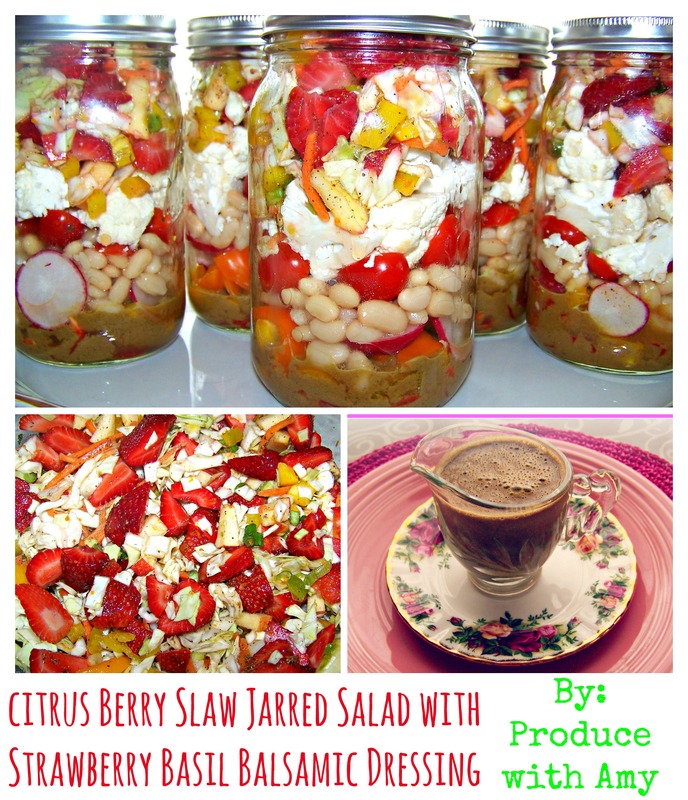 Most of my jarred salad recipes serve as entrée (I include raw nuts, beans, or quinoa etc. for protein) so I wanted to come up with a salad that I could eat as a side. 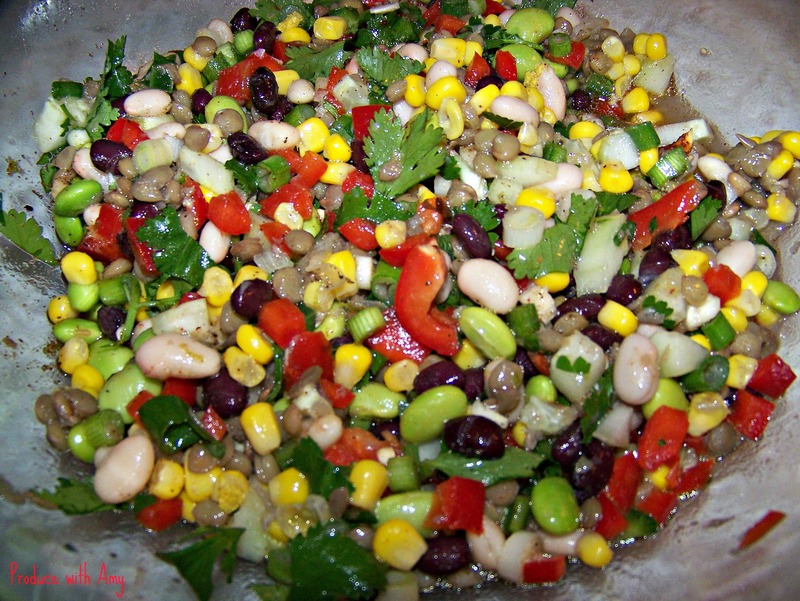 Of course, if you want this salad as a filling meal you can add your choice of protein to bulk it up. Instead of lettuce I decided to add red/purple cabbage. 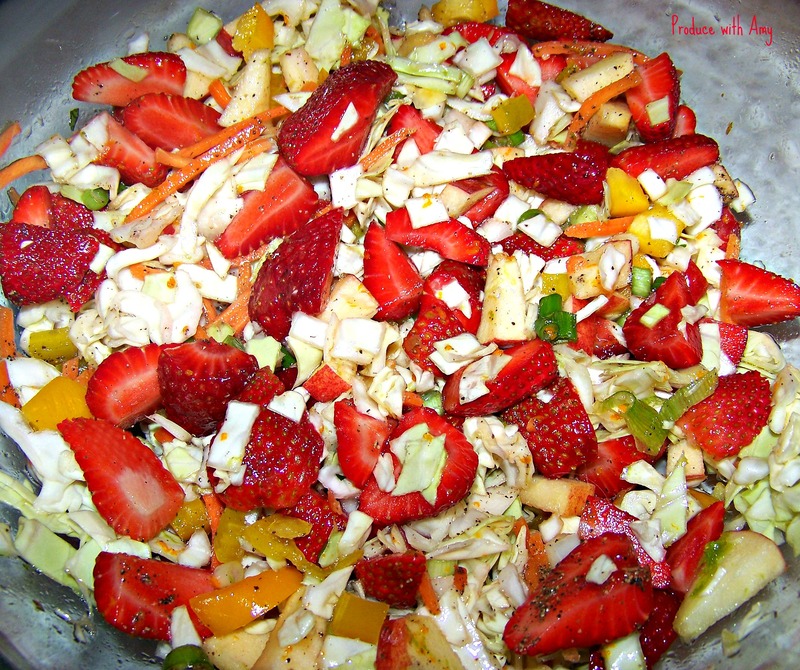 I love the crunch that cabbage brings to a salad and I find its sweetness a wonderful compliment to fresh berries. 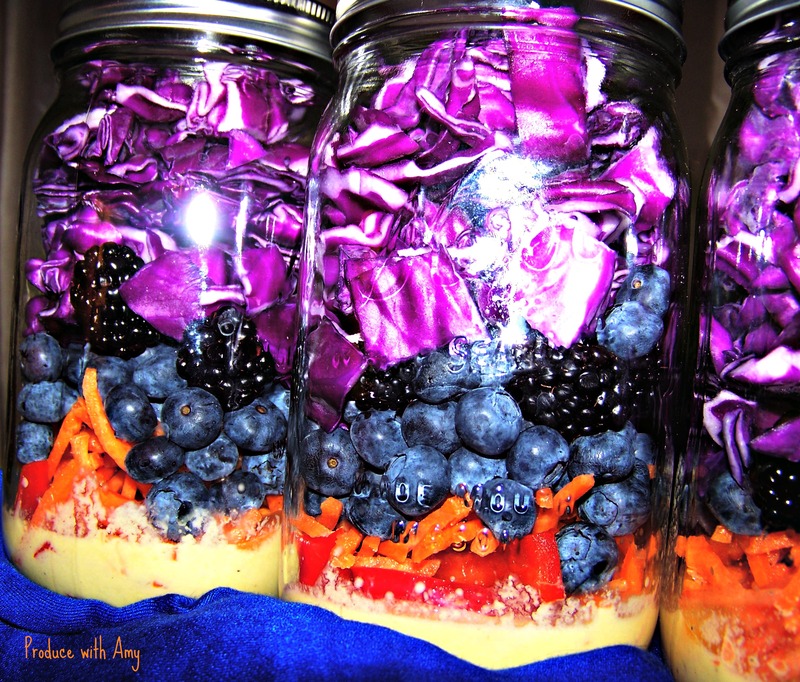 I have also found that cabbage holds up really well in the Mason jar salads and that salads made with cabbage will last for well over a week (in fact I had one on day ten and it tasted just as fresh as the first day). The fiber in cabbage make it filling and I find that it takes me a bit longer to eat than lettuce which is also an important factor in satiety. As discussed in Weight Watchers meetings a few weeks back, it takes our bodies twenty minutes to register feelings of fullness (since our brains must send this message to our body) and that, on average, a person overeats by twenty bites. 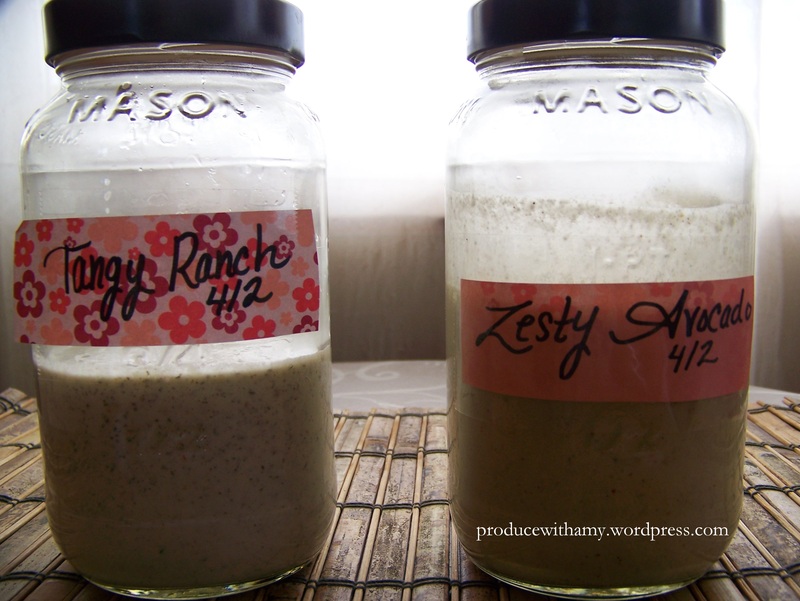 I also decided to make one dressing and add ginger to 1/2 and rosemary the other 1/2 to add variety. 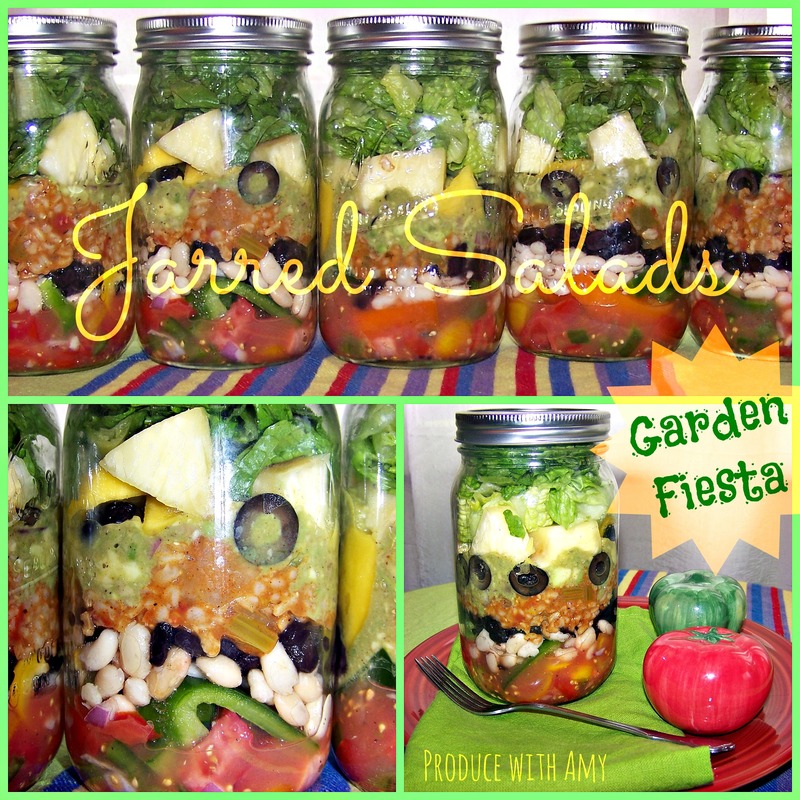 If you are new to jarred salads you may want to check out this post for tips and suggestions. 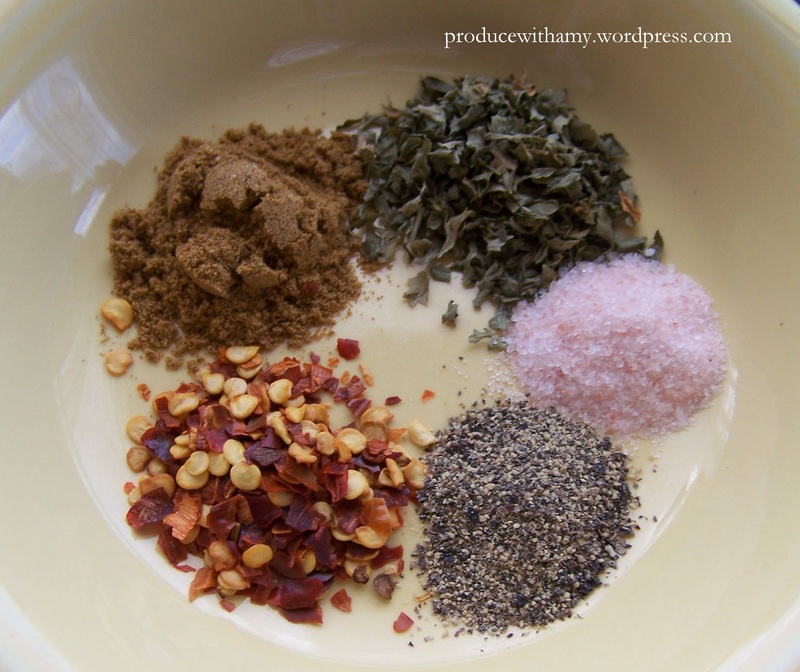 Blend all of the ingredients. 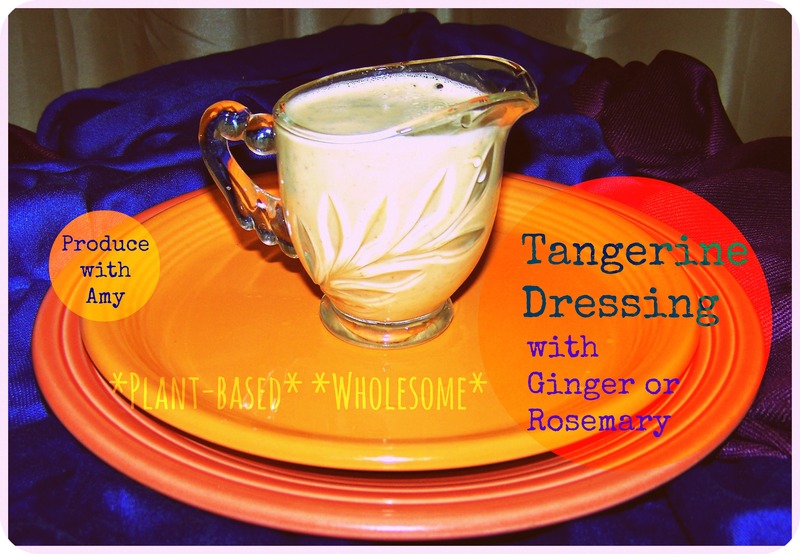 I split the dressing in half and added fresh ginger root (since ginger is spicy I suggest adding a bit at a time if you are not accustomed to the taste) to 1/2 and to the other 1/2 I added a teaspoon of dried rosemary. 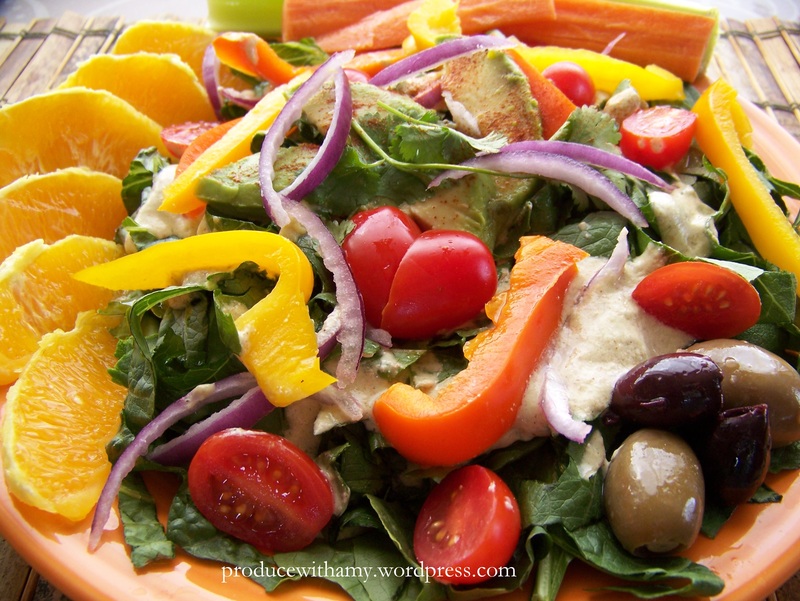 Tangerine segments would also be a great addition to this salad. 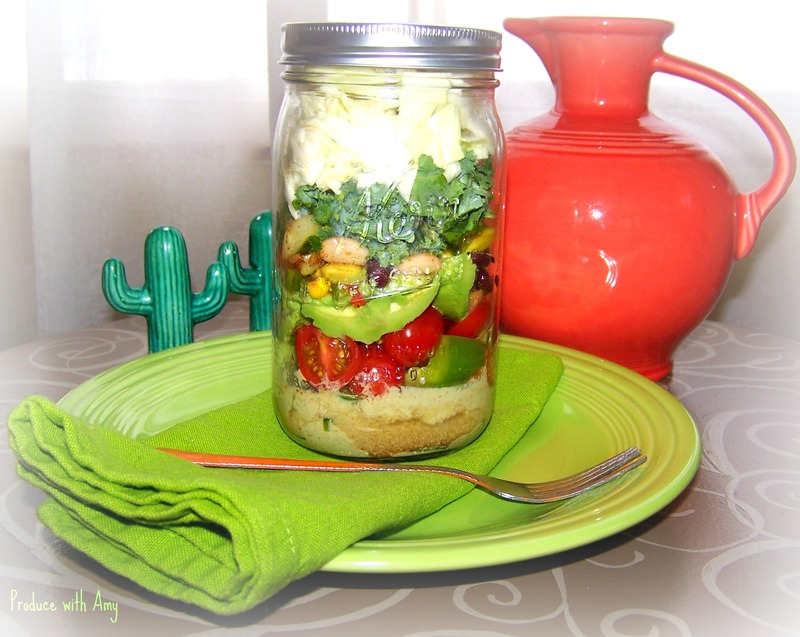 The simplicity of these salads makes them quick to prepare and they are brimming with healthy nutrients. They will help fuel your week and the vibrant color may even help chase away the winter blues. Food. It seems simple enough, right? We should eat to live. Yet, we have an intimate connection to the food that surrounds us. Food is comfort, culture, community, family, and a way to celebrate and nurture others. Food is smell, taste, and texture. 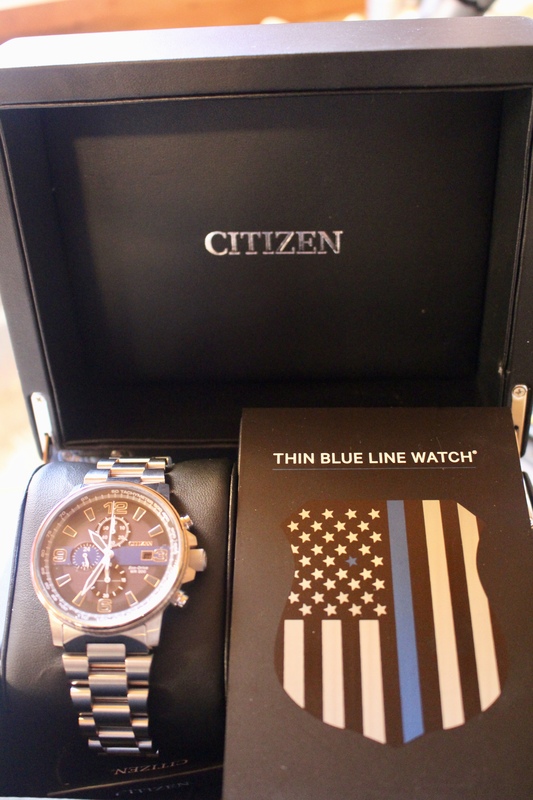 It even has socio-economic implications. While there are many emotional associations with food, I try to remember that the bottom line is that food is sustenance and fuel. As a Weight Watchers leader I try to be sensitive to all of my members food and lifestyle choices. The truth is that when I joined WW, I ate very differently than I eat now. Artificial sweeteners, processed snacks, and packaged frozen meals were tossed in my shopping cart as part of my WW meal plan. In short, I was eating “diet” food. Yes, I lost weight and made my goal weight, but was I nourishing my body to the fullest potential? While vanity came into play and I wanted to feel attractive in my clothes again, my pride in my appearance did not push me through the WW doors. It was my health. At thirty-five I experienced a pulmonary embolism (a blood clot was lodged in each of my lungs). A couple of years later my husband Mike suffered a spontaneous brain hemorrhage. 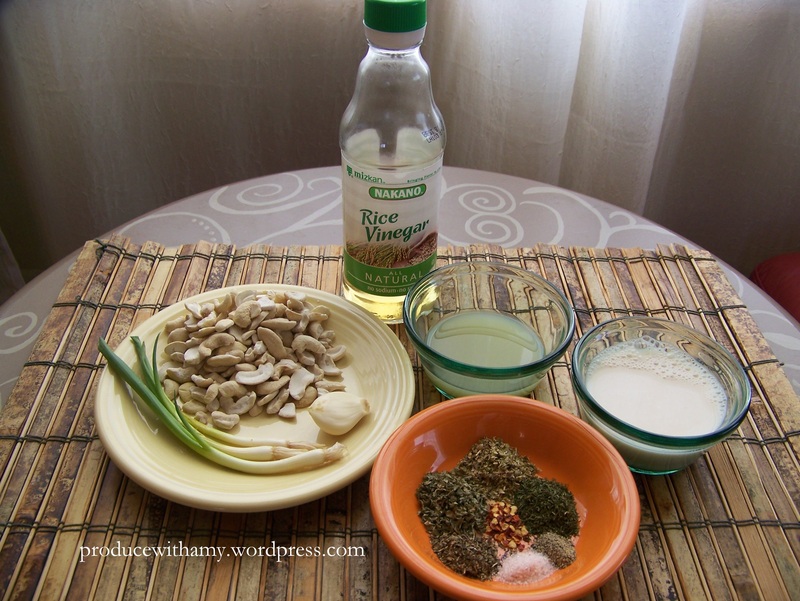 After Mike’s health scare, I started a quest to investigate the healing powers of food deeper. I spent hours on the computer trying to learn more about brain injuries. I stocked our house with whole non-processed food. One of Mike’s doctors gave him a myriad of tests and declared him a walking-and-talking miracle after he showed no cognitive damage. I told her about the foods that I was feeding him and she told me to keep doing what I was doing. This transformation in our kitchen and lifestyle paved the way for this blog and my passion to share what I have learned with others. What have I learned? 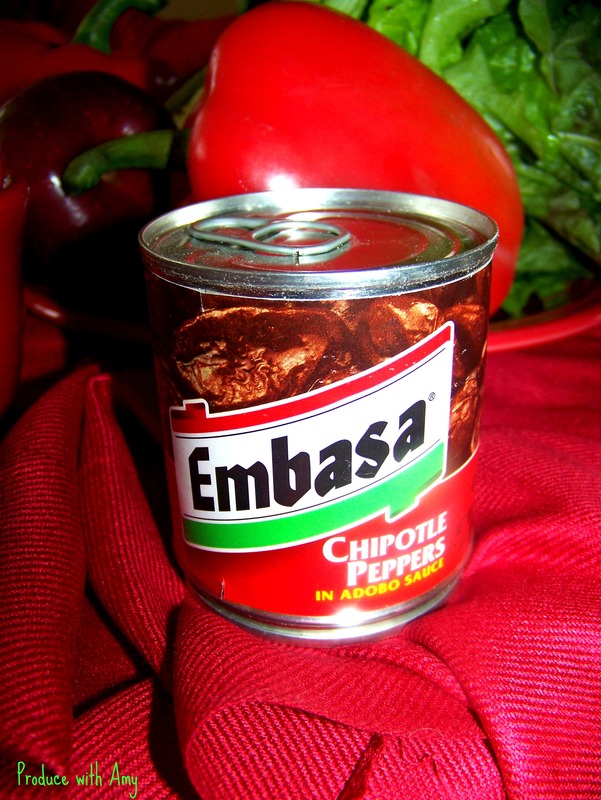 Taste does not need to be compromised when you eat non-processed food. In fact, I have found that once I eliminated artificial sweeteners, cut down on refined sugar, stopped buying processed snacks, and started to eat cleaner, my food cravings changed. Sometimes in my WW meetings or in social situations, people will wrinkle up their nose when I mention a recipe or food that I enjoy. I do acknowledge that I have learned to embrace food for more than just its flavor. Food provides nutrients and fuel for my body. Adding Spirulina to my green smoothies does alter the flavor and make it more “grassy” but the boost of nutrients that I get make it worthwhile. While I do not eat 100% clean at all times, my hunger attempts to put nutrition first. 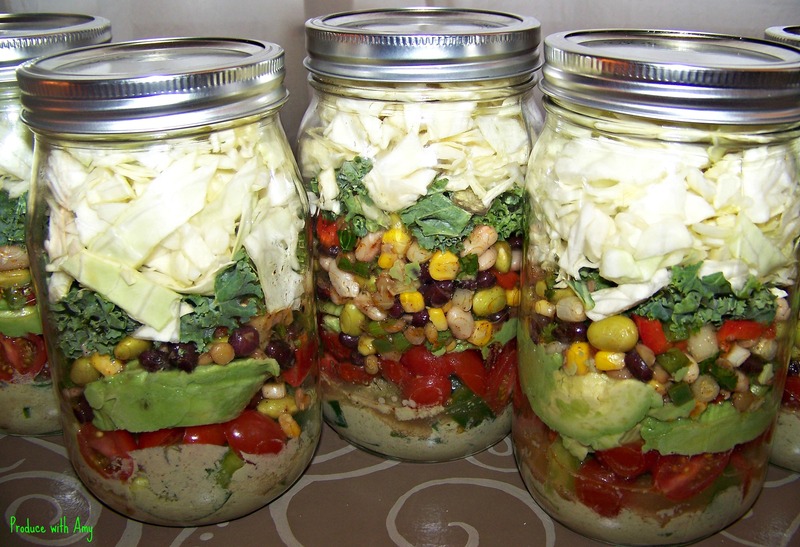 While it may be easier to open up a can of soup for lunch or dinner, to me there are not shortcuts to health. I am willing to spend time chopping vegetables and experimenting with new flavor combinations. When planning my menu it is important that I rotate the food that I eat so I do not experience boredom or get in a food rut and so that I am getting a wide-range of nutrients. 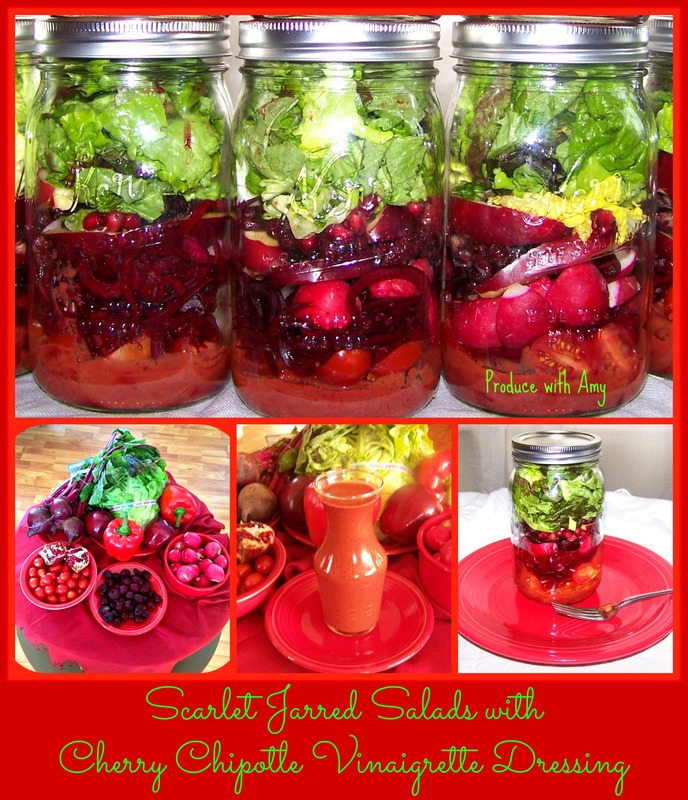 I have really been enjoying coming up with new salad and dressing recipes and last week the theme for my jarred salads were RED. 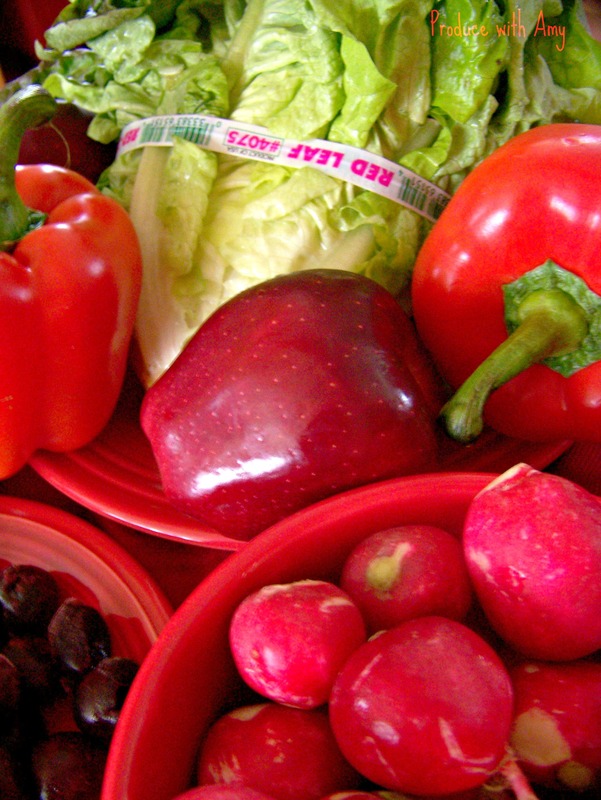 Red fruit and vegetables are loaded with antioxidants, such as lycopene and anthocyanins, and nutrients (folate, fiber, vitamin C and A) that help nourish our bodies. They help us fight heart disease and macular degeneration, help regulate blood pressure, and soak up damaging free radicals. This salad works well with the WW Simple Start and Simply Filling Technique. 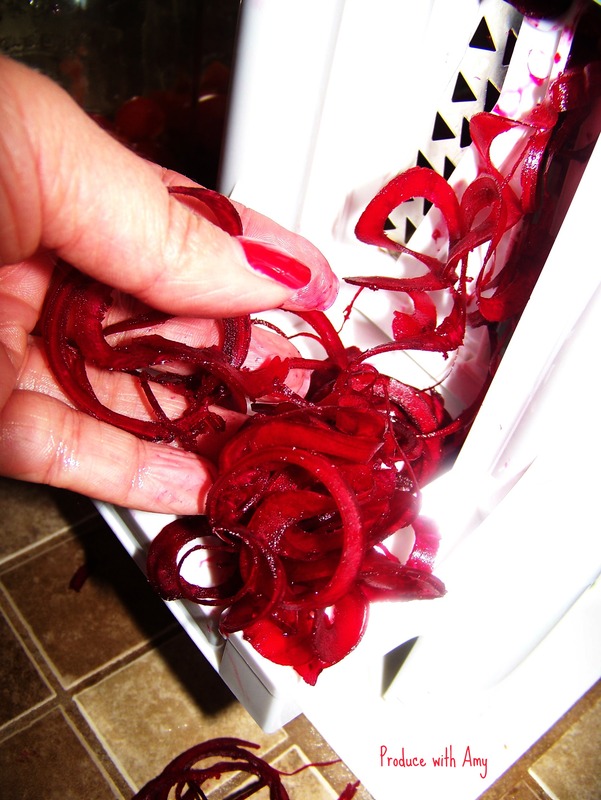 I really wanted to incorporate beets into my salads but wanted them raw instead of roasted so I took out my spiralizer and within minutes had vibrant red curls to add to my salad. They made a fresh addition and I loved the flavor they impart. 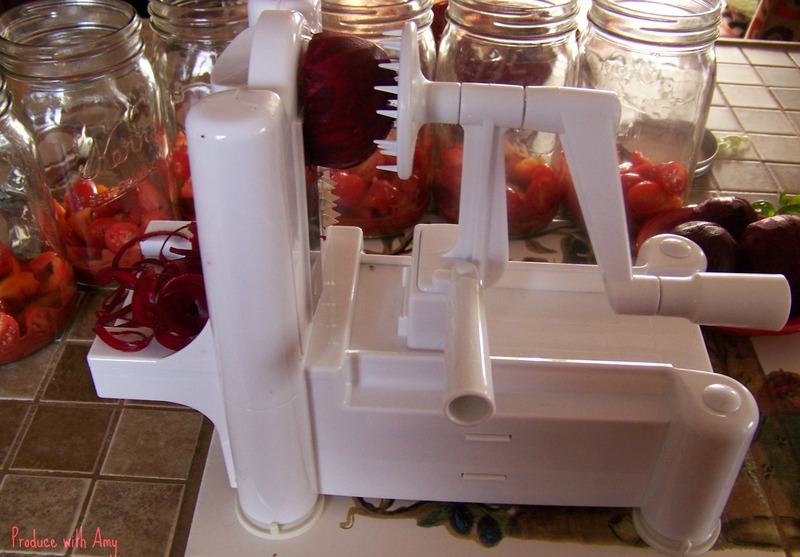 I am not big fan of kitchen gadgets but I love my spiralizer/slicer to make quick work of making zucchini ribbons for “pasta” and for adding squash and other vegetables to salads, soup, and other dishes. 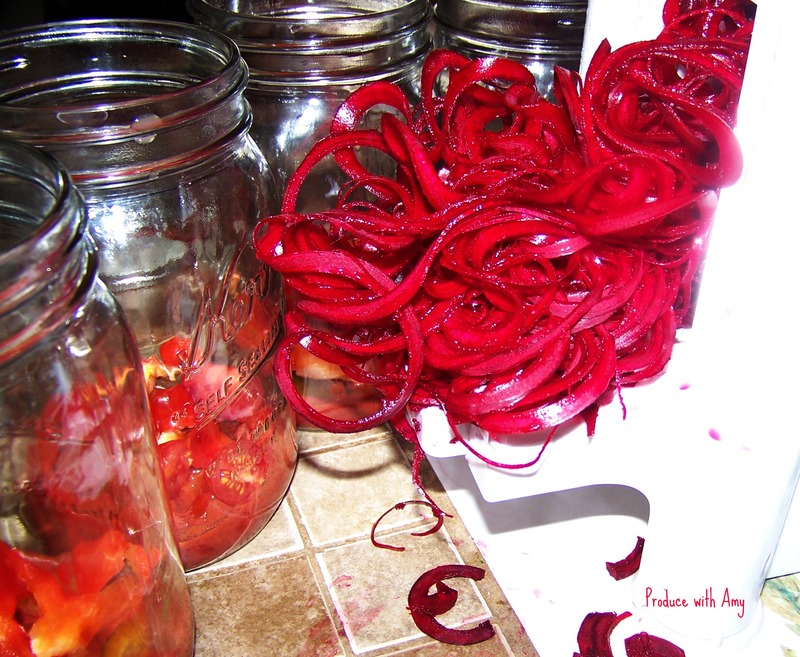 Beets are messy to work with but I promise you they are worth the effort. 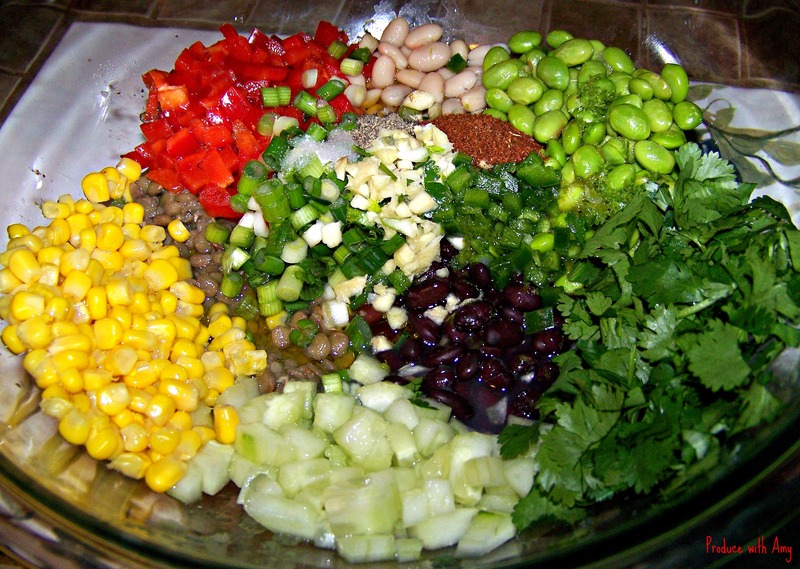 Blend dressing well. 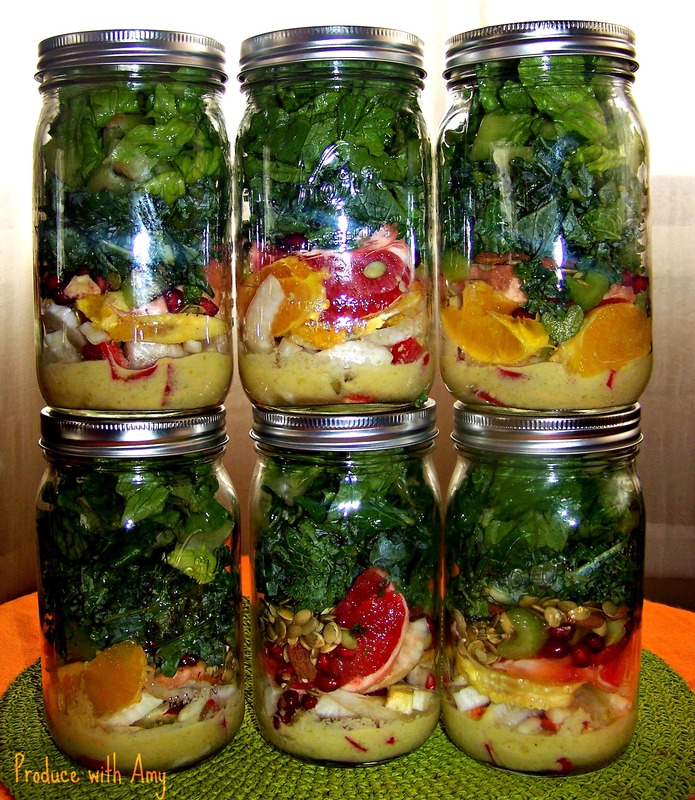 This dressing made exactly enough for eight Mason jar salads but it would keep well in the refrigerator for over a month. 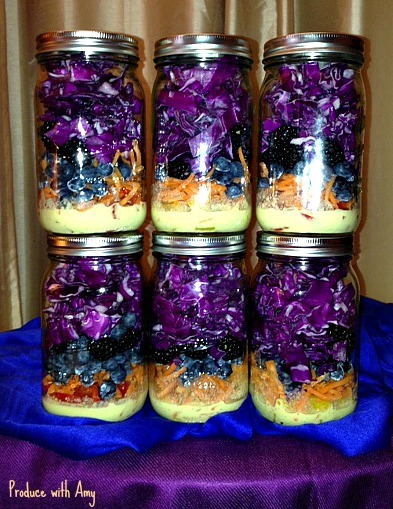 I layered the following in this order into 8, one quart, Mason jars. 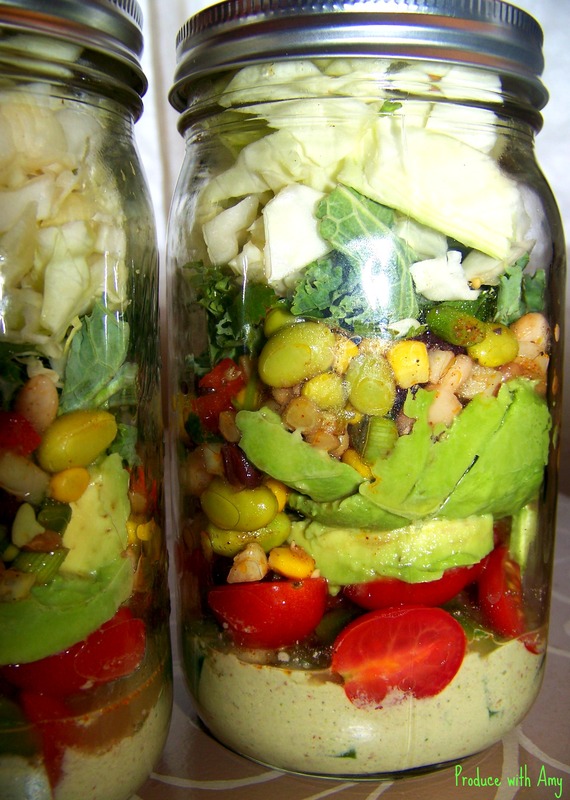 Check out my other salads in a jar on my Salads Tab. I really enjoyed this flavor combination and I still have a couple left in the refrigerator. One salad is a meal in itself and I find that it’s the perfect size for my husband and I to split as a side-salad for dinner. 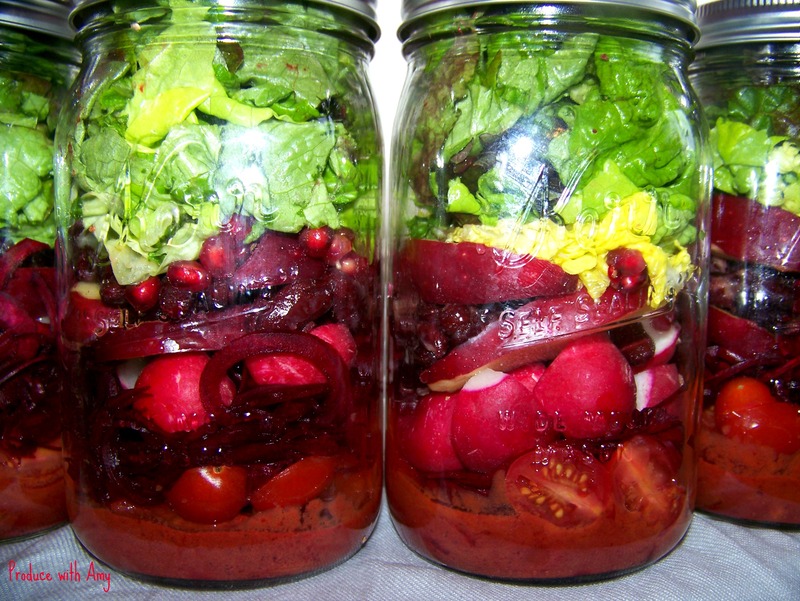 The taste of the raw beets is fresh and juicy combined with the smoky and spicy taste of the dressing. The peppery radishes combined with the sweet apples, the sweet tart taste of the pomegranates, and the crunch of peppers with the creamy beans was terrific. Plus, just look at that vibrant color! What is there not to love? Today I challenge you to reflect on your relationship with food. Food may be a way to bridge our past to our future and helps us gain valuable insight about ourselves. I am thankful that I have made the steps that I have to eating whole, non-processed food and I always encourage my Weight Watchers members to do the same. However, I do understand that we all have different lifestyles and that we all must do what we feel is best for ourselves and our families. I continue to make baby steps on my journey to maximizing my health and productivity. 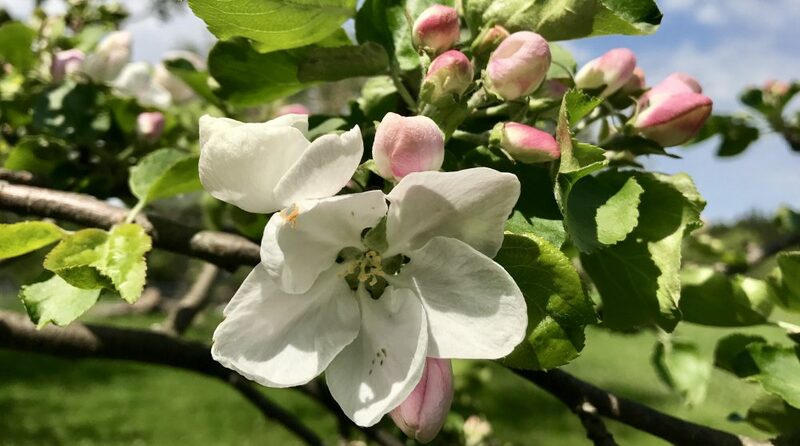 I have been sharing my recipes on this blog since January of 2013 and the support and feedback that I have received has made me commit to continue writing. I want to thank you for sharing this journey with me. Profoundly I believe that we are all teachers and students and we must continue to grapple and learn lessons along the way. I end with a compelling quote that I found last week that continues to impact me as I reflect on my own relationship with food. Have a healthy and energy-filled week my friends! 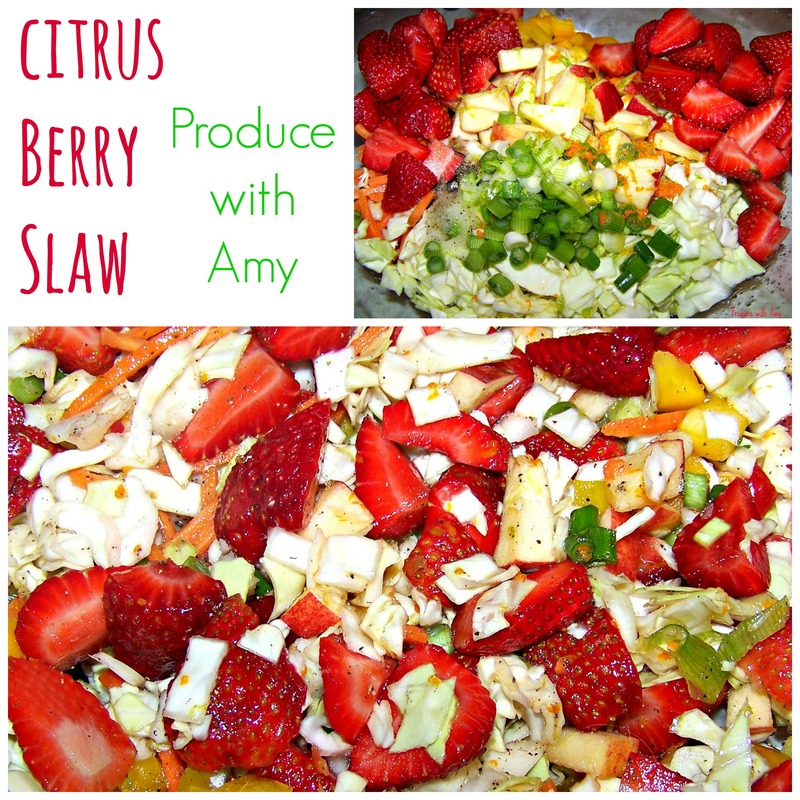 Please continue to share my posts and drop by my Produce with Amy Facebook page and say hello. 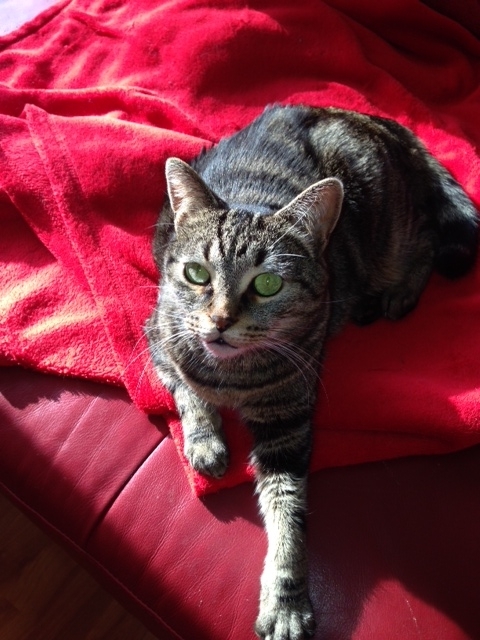 This afternoon our living room was bathed in light and our cat Athena basked in a puddle of sunshine. How quickly the weather turned…it’s now a frenzy of snowflakes outside. It is the week before Christmas break and I cannot believe how fast time rushes by. Today was Day #15 of the December Green Smoothie Challenge and I am enjoying sharing my recipes and being artful by capturing a photo each morning to share on my Facebook page. Mike and I enjoyed a quiet weekend at home and last night watched, Broadcast News. It reminded me of high school when I had aspirations of being a television journalist. While I do have a broadcasting degree from Marquette University, life had other plans for me and I am thankful that I heard my calling to be a teacher. As I type this, I am hoping that the blizzard conditions outside cease. 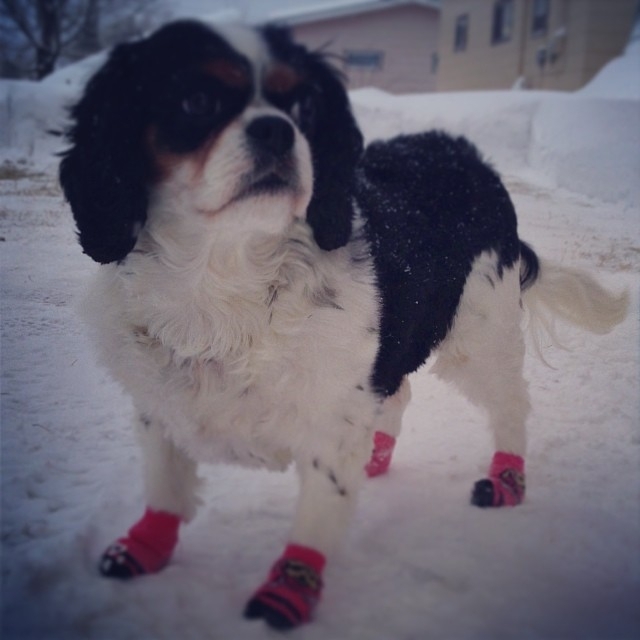 I do not want a snow day tomorrow ~ I have too much to accomplish with my students. Though, if we do, I will make sure to be productive and may find time to share a recipe for the soup that is bubbling in my Crock-pot. 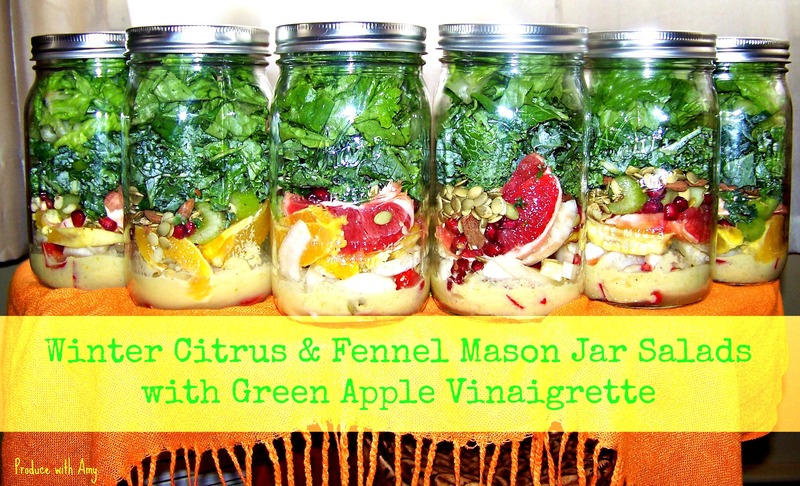 Yesterday afternoon, after my Weight Watchers meeting, I went grocery shopping (I would really like to bring back my routine of shopping mid-week) and in addition to green smoothie ingredients I bought fresh produce for Mason jar salads. Often we associate salads with summer but, like soup, I think that salads are seasonless. I brainstormed what I thought would constitute the perfect winter salad. Of course, what came to mind was juicy oranges and grapefruit. I thought that the perfect accompaniment to both would be fennel and pomegranate. But what about the dressing? 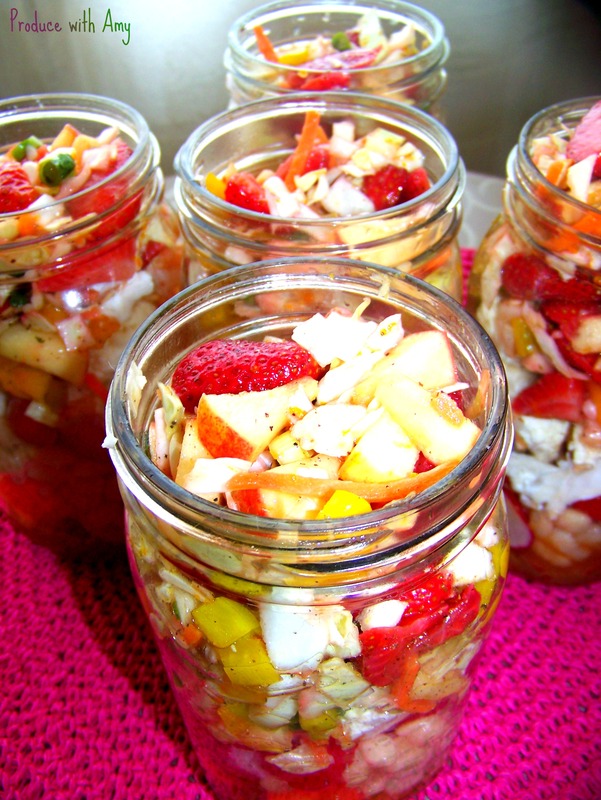 I knew that the citrus salad needed something both sweet, tart, and savory. 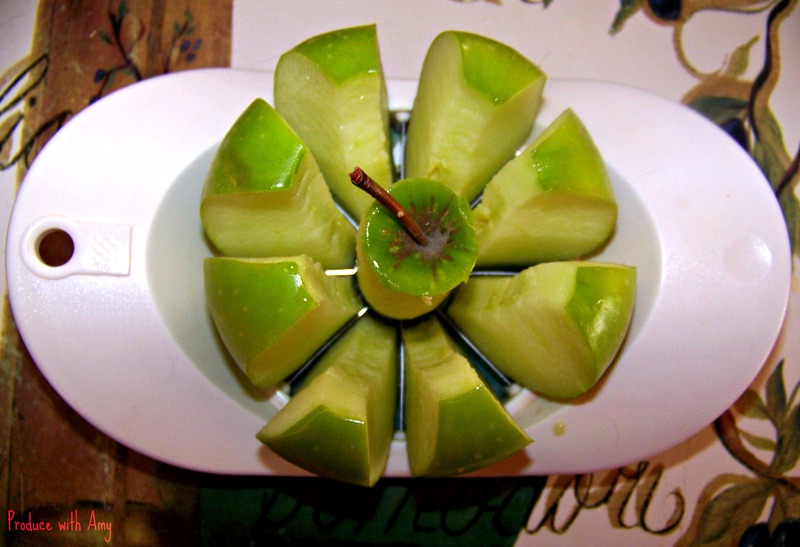 How about green apple? 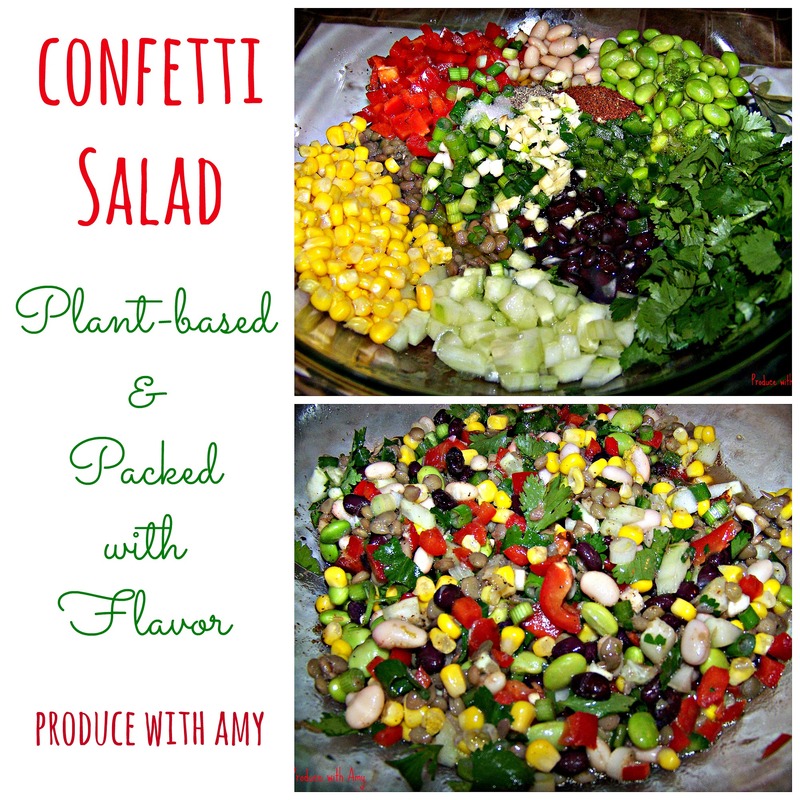 I have to say ~ the result was pleasing and I am almost as excited to share these gorgeous salads with you as I am to eat them this week. If you want to control the amount of oil that goes into your dressing you can leave it out and add the oil to each individual salad. Lemon juice or lime juice would work well in place of the orange and you could add honey or sweetener of choice to make it slightly sweet. 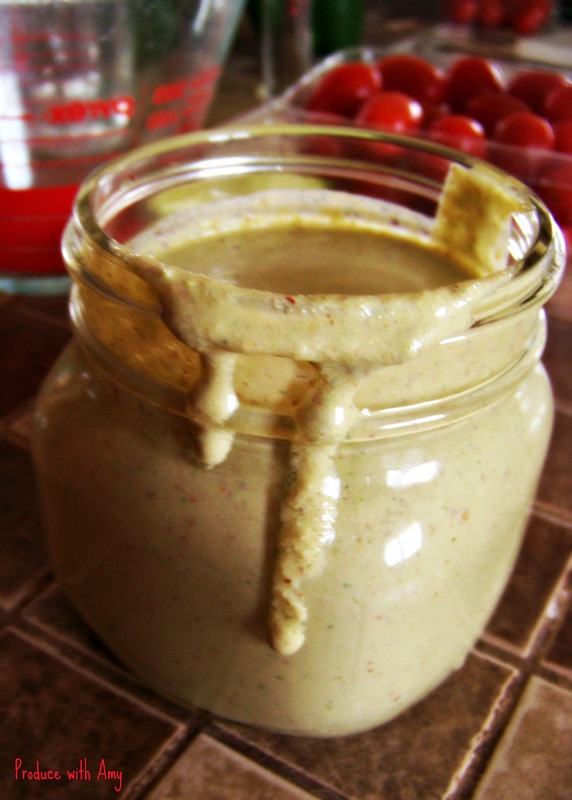 I always recommend that you taste as you go when making homemade dressings. I like dressing tart so I am in generous when I add in the vinegar. 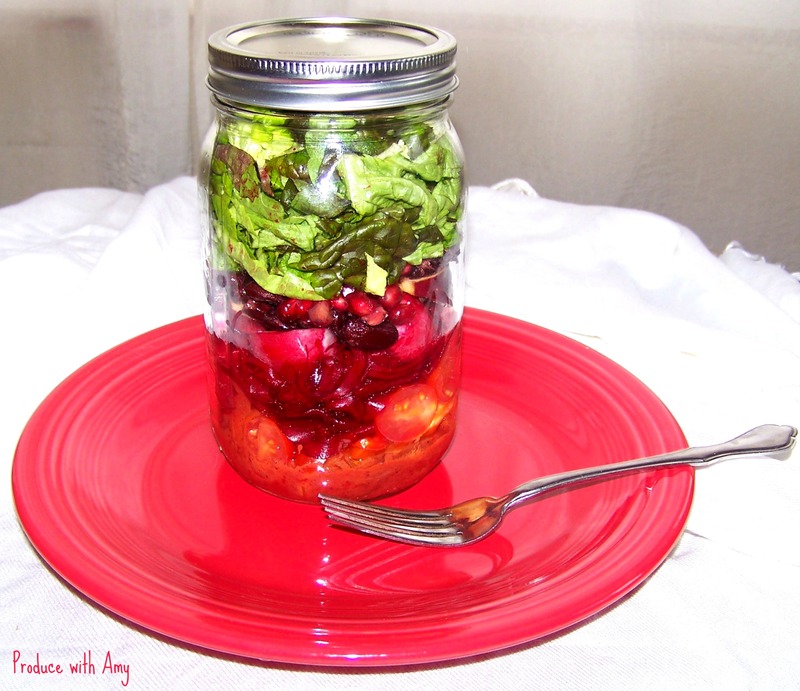 If you are new to Mason Jar Salads you may want to read one of my previous posts that shares many tips for jarred salads: Mason Jar Salads: Fresh, Visually Appealing, and Versatile. 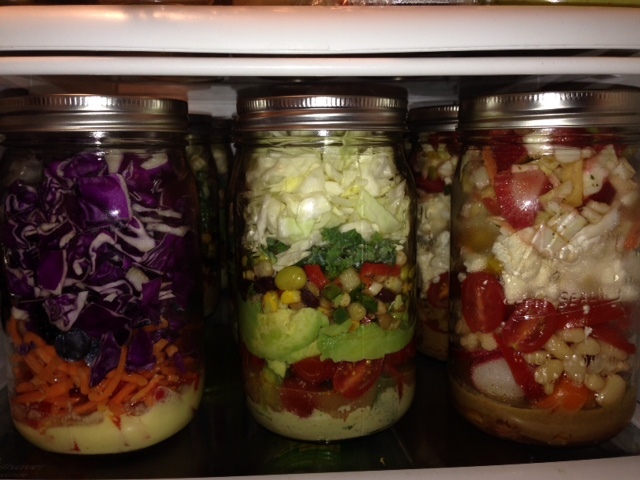 I made six jarred salads and layered the following in each one quart sized Mason jars. 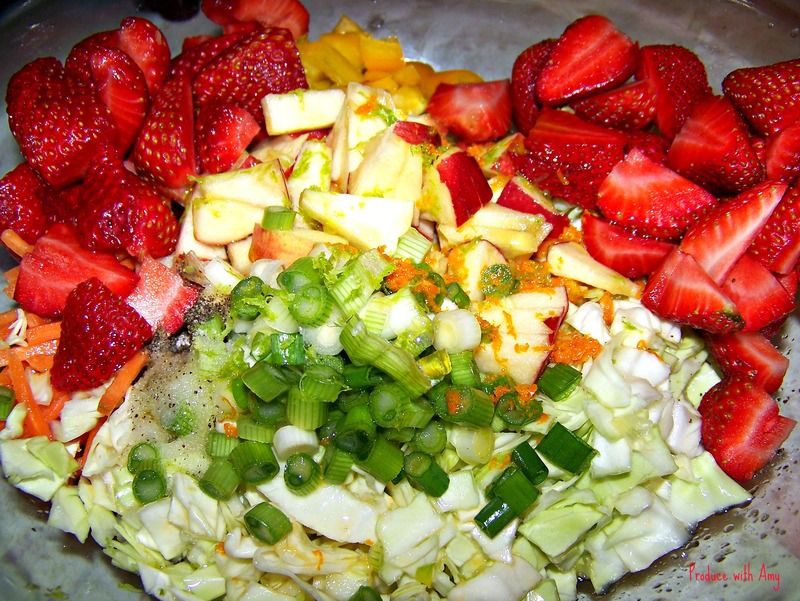 Layer the dressing first, followed by hearty fruit/vegetables. Layer the lettuce/greens last. I am so thankful to the weekends and time to recharge and prepare for a busy week. 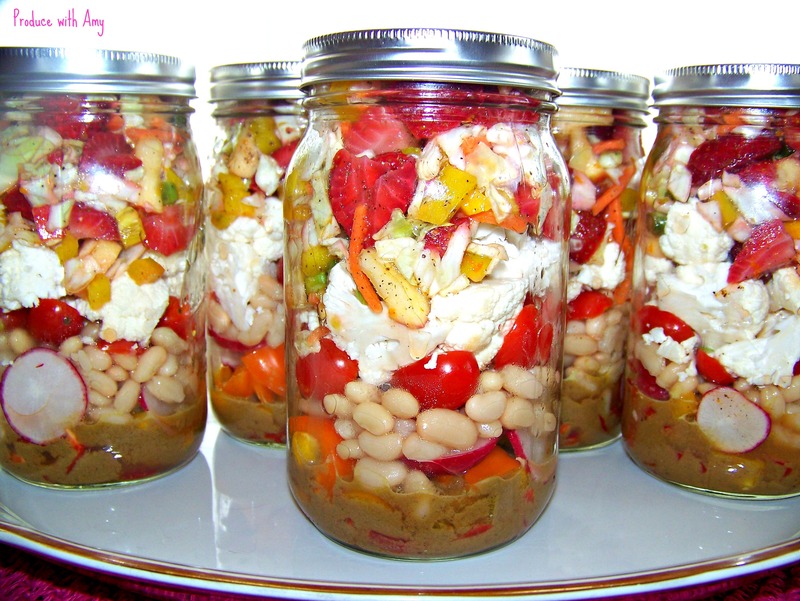 Mason Jar Salads are a huge time saver since they only take about a half an hour to prepare and they stay fresh all week. 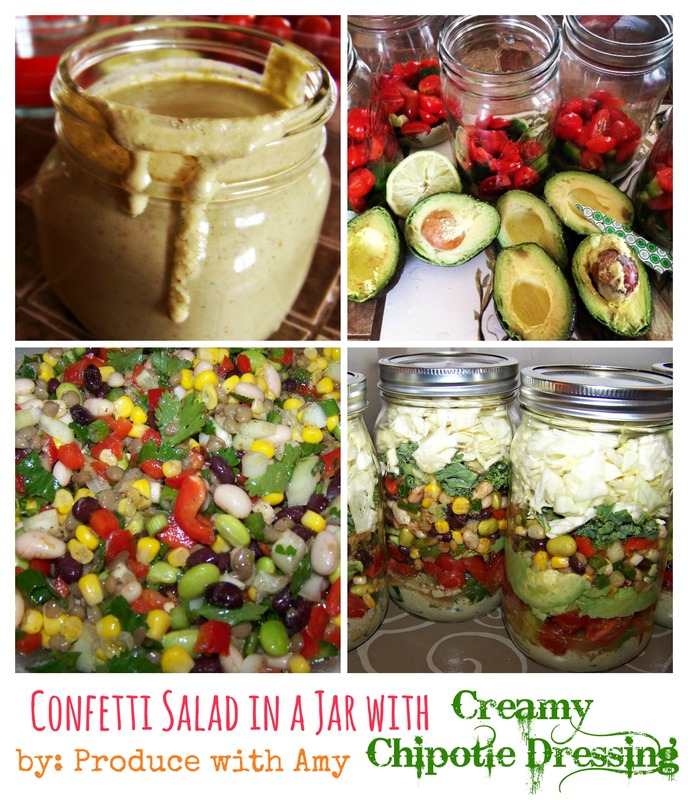 If you are interested in other salad and dressing recipes, make sure you check out my Salad Tab and my Salad Dressing Tab. 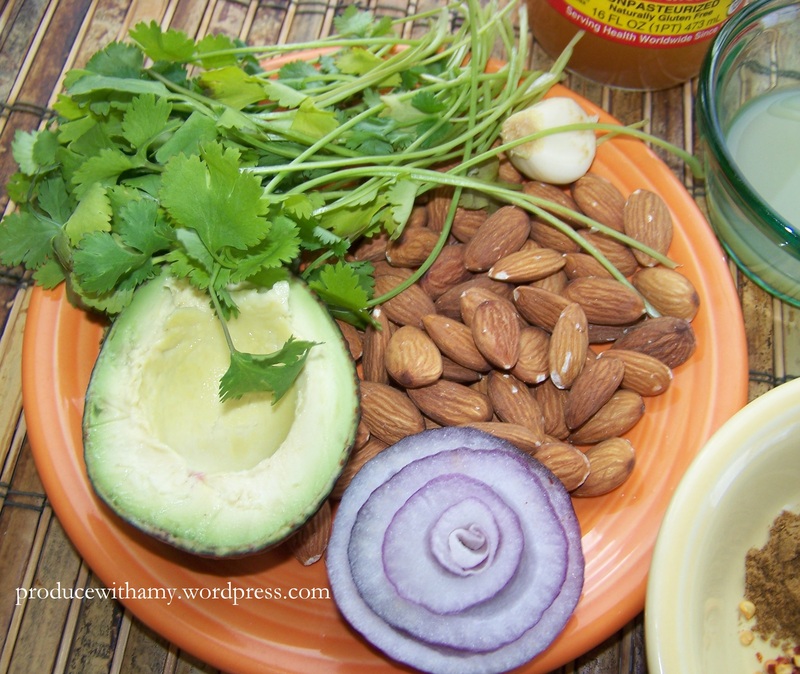 I hope that you enjoy this recipe and that it makes your life a little less hectic and a lot more healthy. There are only a couple more weeks left in 2013 so let’s make them the best that we can. I look forward to a new year and sharing this journey with my health-minded friends. I promise many more recipes in the days to come. 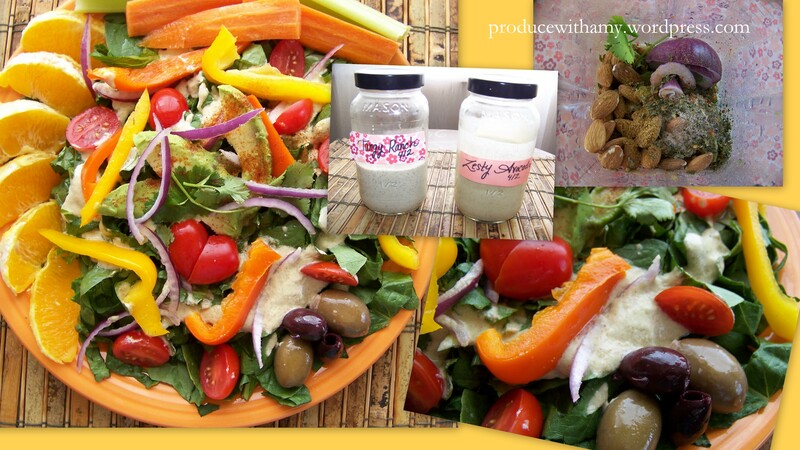 Homemade salad dressing that is fresh and free from the chemicals and preservatives that often are ingredients in store bought versions. Regardless of the season, salads are a go-to meal in our house. I am fortunate that one of Mike’s favorite meals is a dinner plate of greens, with whatever fruit and vegetables we have on hand, and some sort of protein (salmon is his favorite). If I want to receive an extra hearty, thank you, I include a generous amount of gorgonzola cheese and he is a happy husband. 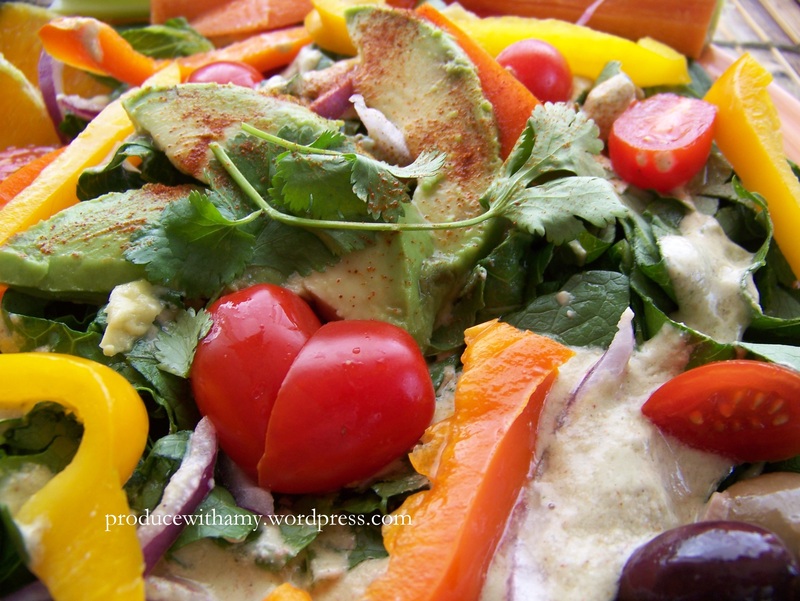 We both love the addition of olives and since I try to maintain a plant based diet my favorite way to add protein to a salad is a dollop of hummus and a sprinkling of raw nuts. 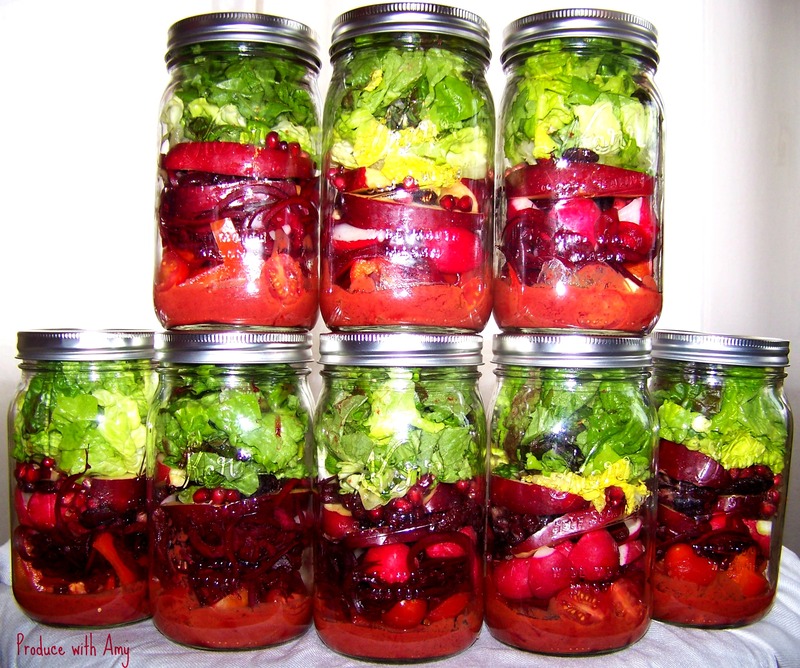 I like to make my own salad dressings. This is especially the case in the summer when I have an abundance of fresh herbs available in my garden. 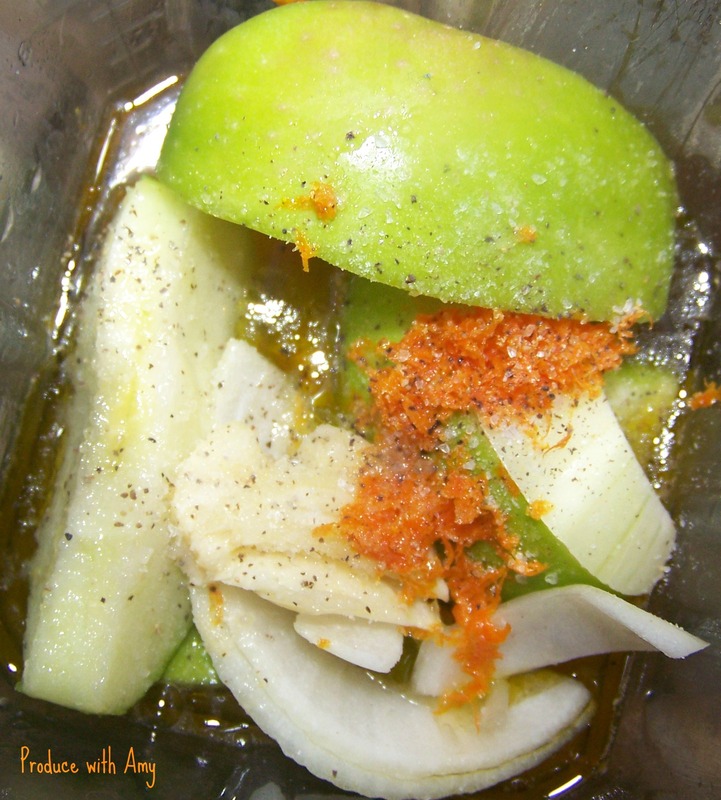 My favorite combinations tend to be a vinaigrette where I start with a very basic recipe: olive oil, spicy mustard, minced onion and garlic, and vinegar. I love fresh dill with orange (zest and a touch of juice) and oregano with lemon. 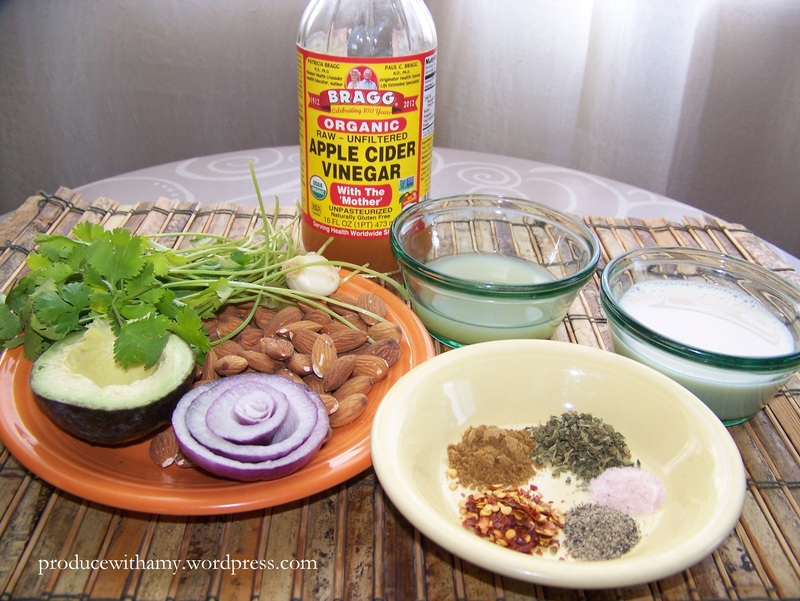 I find that store-bought dressings often contain chemicals, preservatives, artificial sweeteners (and since I like a tangy dressing) are often too sweet for my taste buds. Growing up in my family we took our consumption of vinegar seriously. Ask any of my cousins what they loved to eat as children at our grandparent’s house, the late Thomas and Hilda Puskala, and I guarantee they will immediately say, “cucumbers and vinegar.” I fondly remember Grandpa serving my aunt Christina and I cucumbers straight out of his legendary garden with vinegar, salt, and pepper for breakfast. Yes, breakfast, and we savored every crunchy bite! While I tend to like vinegar and oil based dressings, this winter (yes, it is still winter in the Upper Peninsula of Michigan) I have really been craving a more creamy, ranch styled dressing. However, many contain dairy, and like I mentioned earlier ~ a cocktail of chemicals. 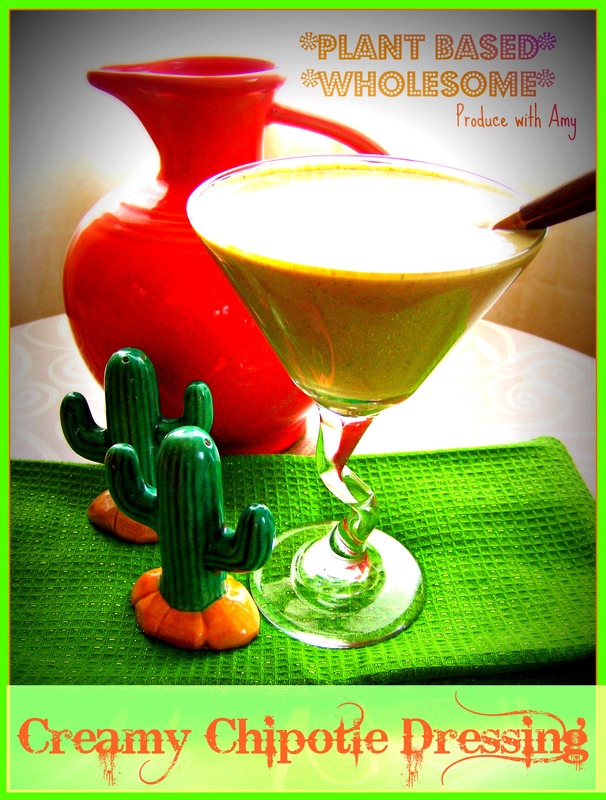 So, I have been experimenting with my own concoctions and have settled on two recipes that I really enjoy. 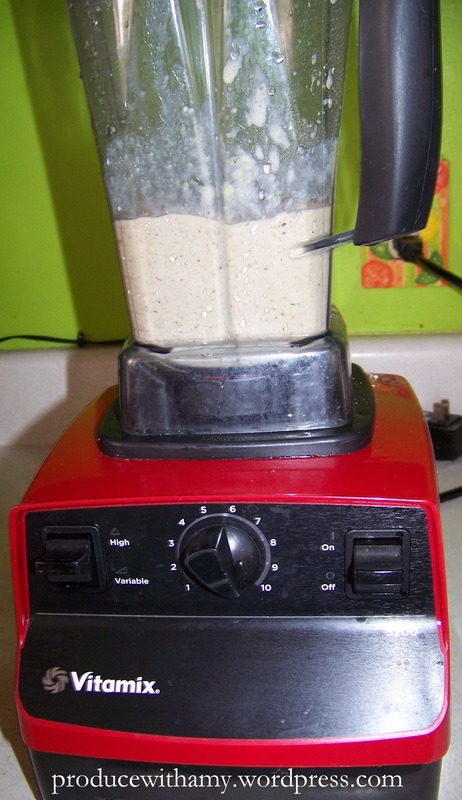 I used raw nuts to give the dressings some body and a kick of protein. Blend well. 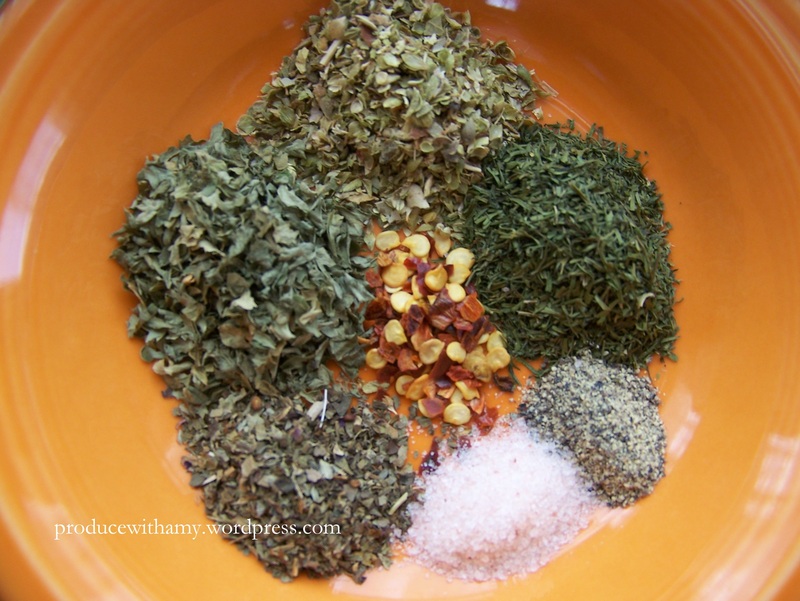 I did use dried herbs but plan to use fresh this summer. 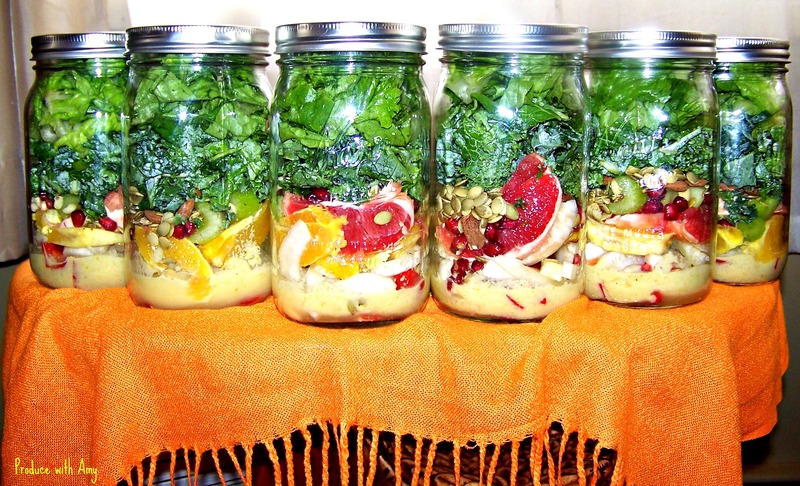 I used recycled spaghetti jars to store the dressing. As the ranch sits in your refrigerator it will thicken and may need to thinned out with water or extra vinegar or lemon juice (if you like your dressing tangy like I do). 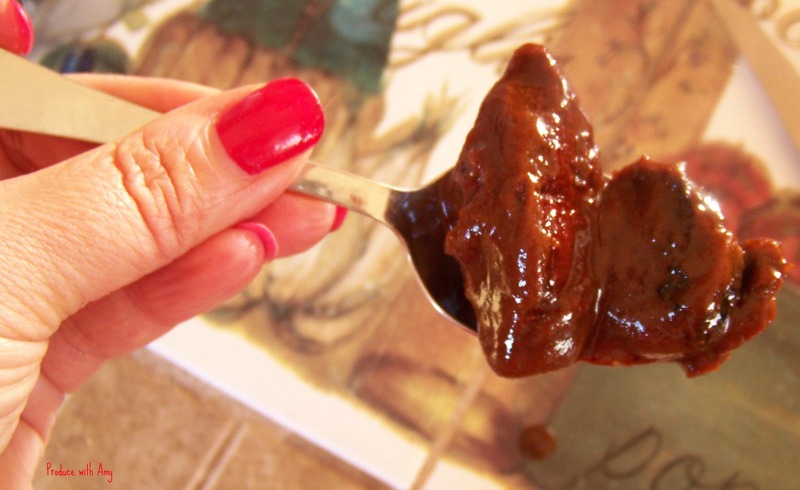 Weight Watchers PP = 2 PP per 2 Tablespoon Serving. I buy raw cashews in the bulk section of our local co-op. 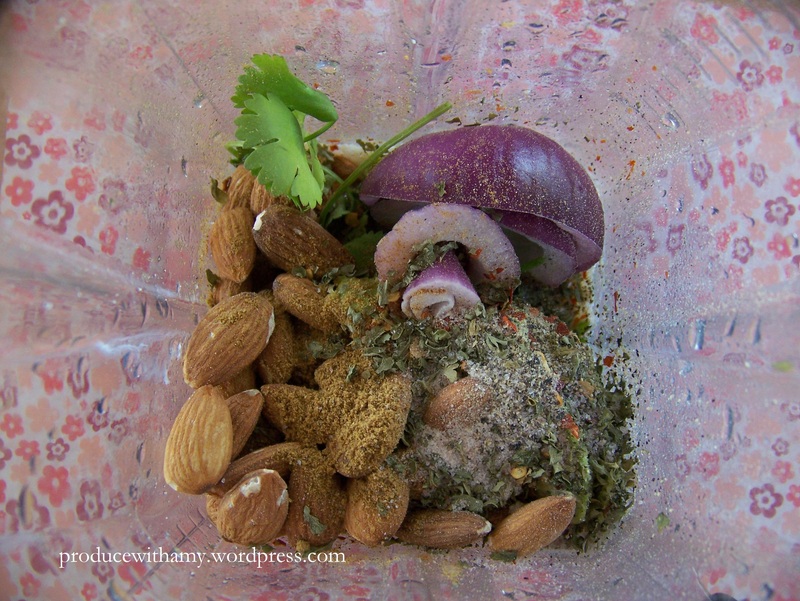 If you don’t have a high powered blender, I recommend soaking the nuts in water for at least a half hour. 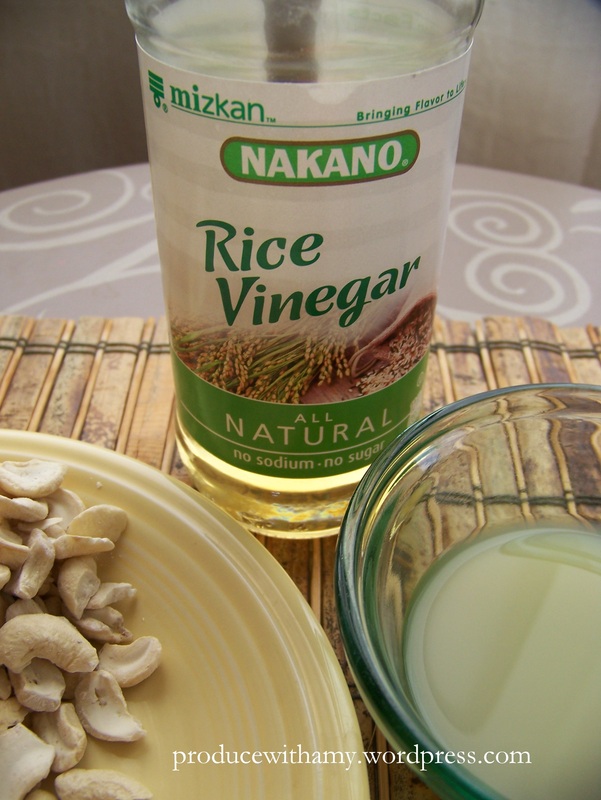 I always have rice vinegar on hand. 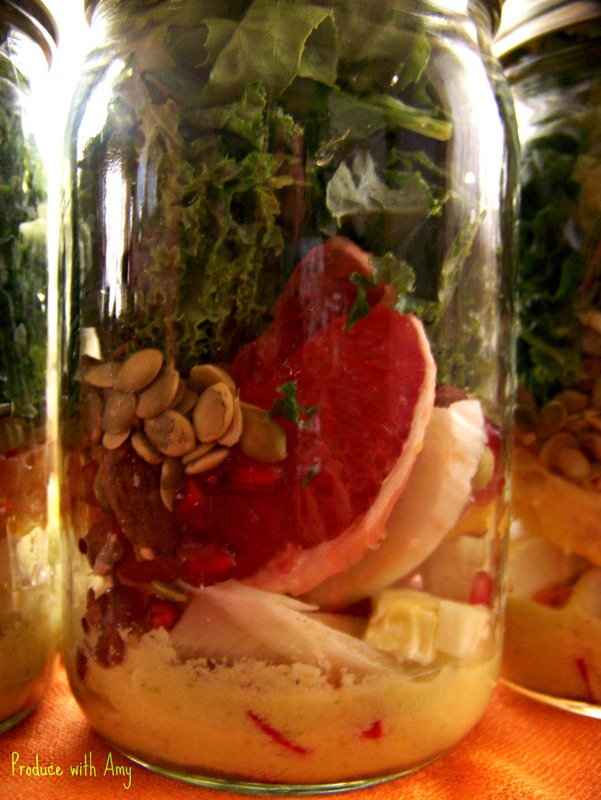 It really perks up the flavor of Asian soups, salads, and steamed vegetables. 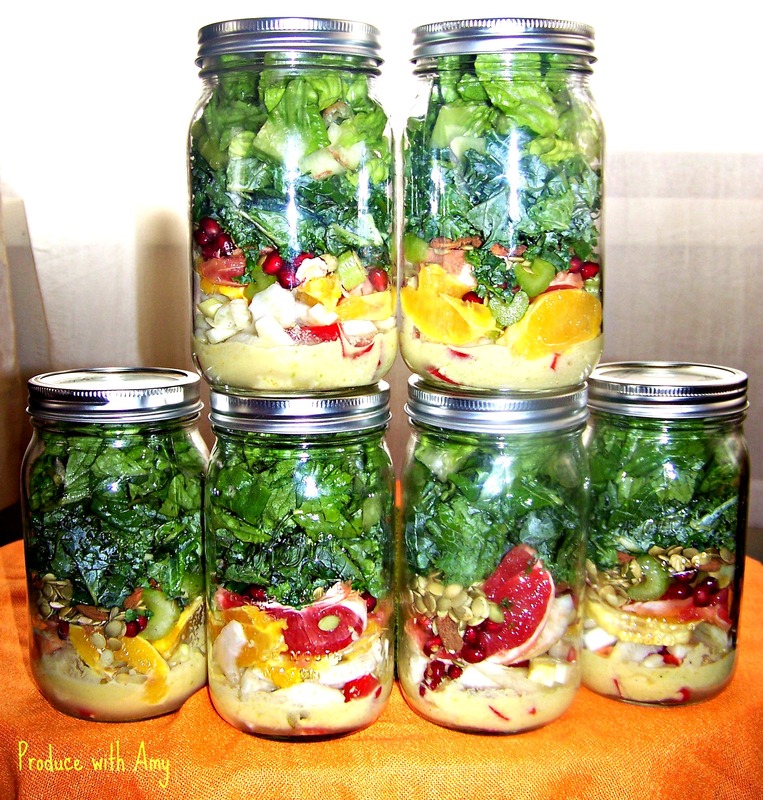 This dressing is so simple and contains ingredients that those with a well stocked pantry already have on hand. I used bottle lemon juice but fresh would be even better. Blend well. This dressing came out quite a bit thicken than the ranch so I added water to the blender. It will also thicken as it sits in the refrigerator and can be thinned out with additional vinegar, lime juice, or water. Weight Watchers PP = 2 PP per 2 Tablespoon Serving. 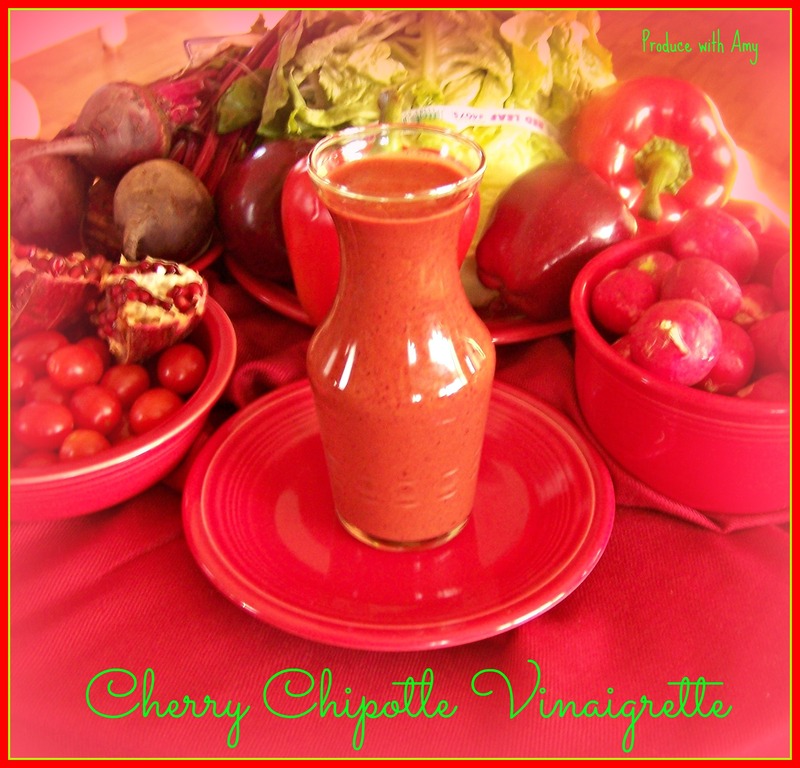 Raw, Unpasteurized vinegar has a lot of health benefits and I always keep a bottle on hand. Anything with avocado in it is a winner in my book. 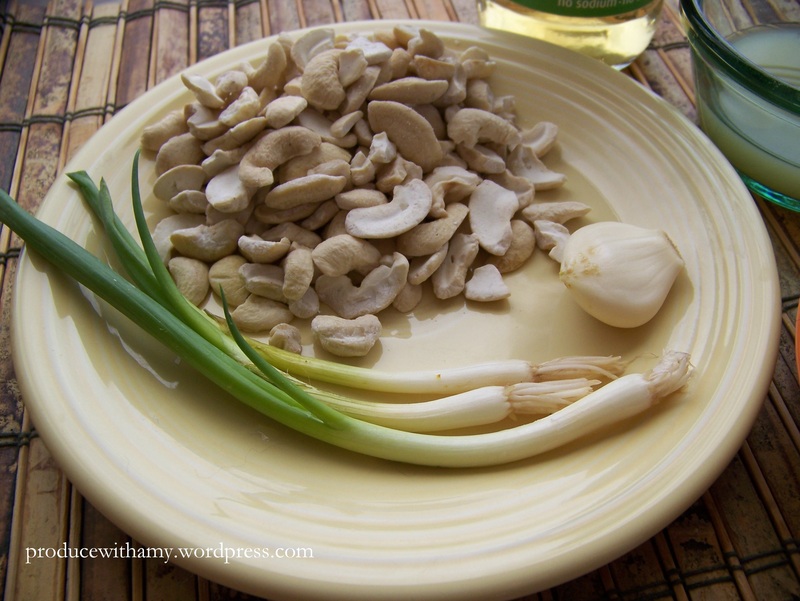 Cashews would work in this recipe as well. Pretty spices that pack a flavorful punch in this recipe. You could add more or less of the red pepper flakes depending on your tolerance for heat. Hot sauce could also be added or even fresh jalapenos. I use recycled spaghetti sauce jars over-and-over. My afternoon feast. 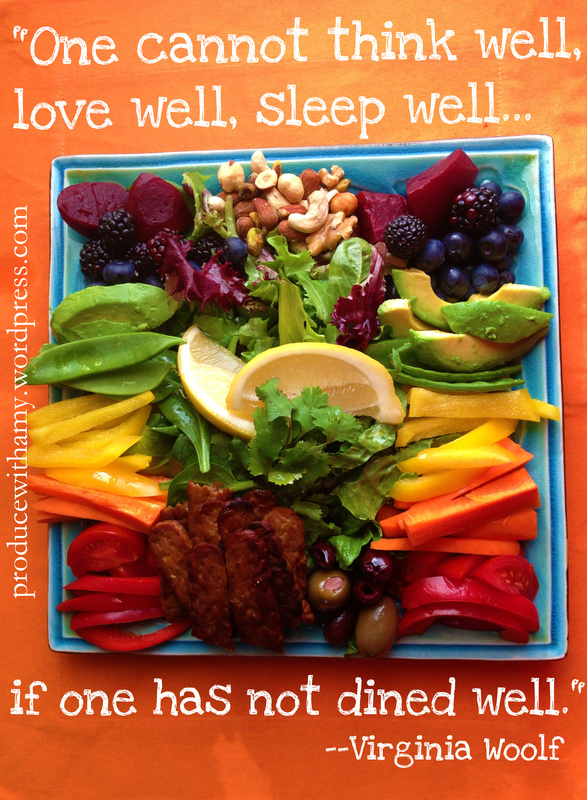 A gorgeous array of fruit and vegetables with the Zesty Avocado Dressing. 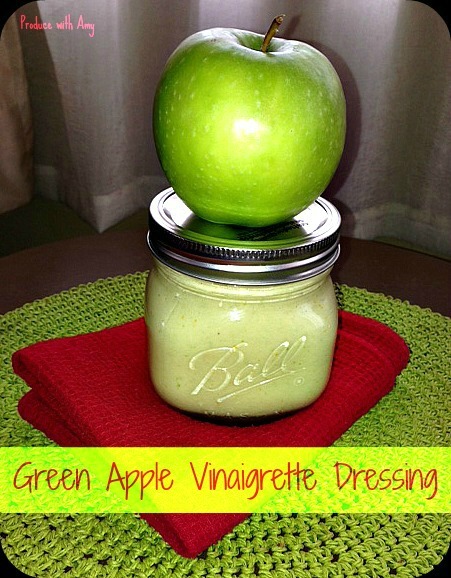 I think the dressing would make a fantastic dip for vegetables as well. 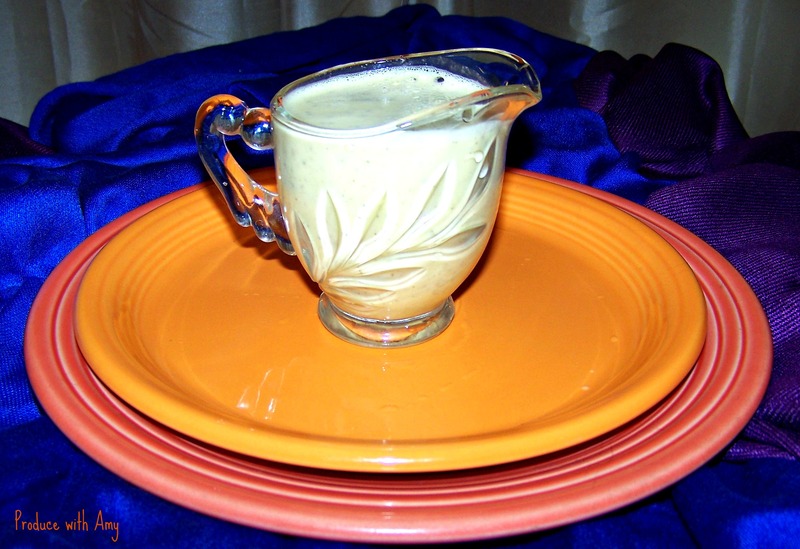 As we move into summer I know that I will keep a steady supply of homemade dressings in my refrigerator. I promise to post more recipes as I experiment with new flavor combinations. 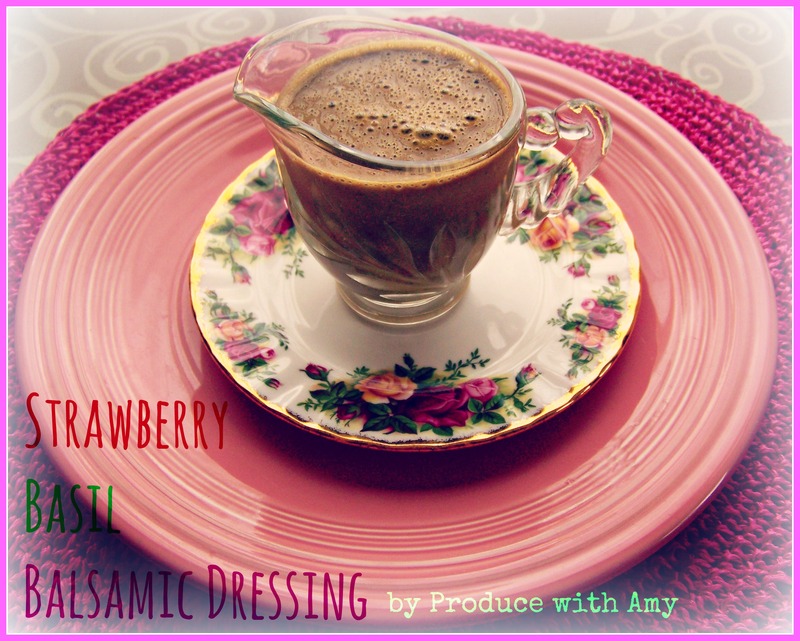 Have fun experimenting with homemade dressings which are so easy, quick, and can be made to suit your personal taste. If you prefer sweeter varieties over a tangy dressing you can puree up berries or fruit to give your dressing a juicy infusion of flavor. One of the pit falls avoid with healthy eating is falling into a food rut. As long as we remember to switch things up often, salads will remain a healthy staple and we will never grow tired of them. 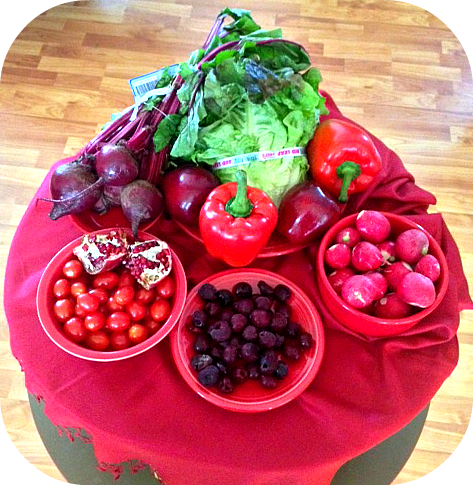 The combinations are endless and it is so important to fill our plates with a rainbow of fresh produce.